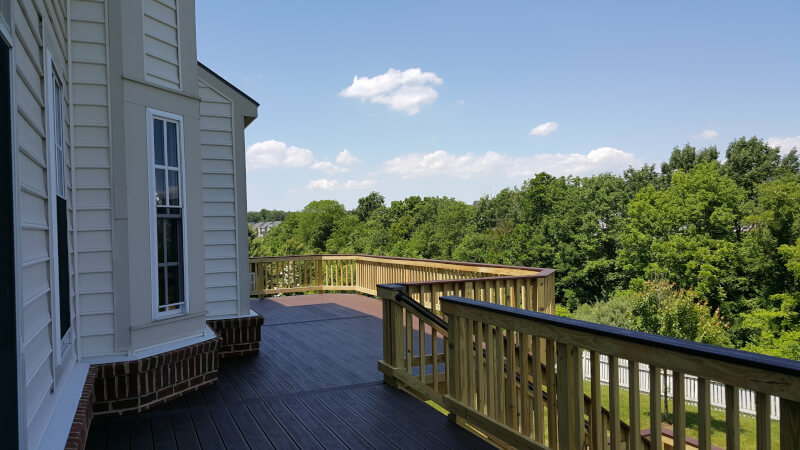 This beautiful custom deck, located in Bristow, Virginia features Trex Transcends Composite Decking in Vintage Lantern with a hidden fastener system. 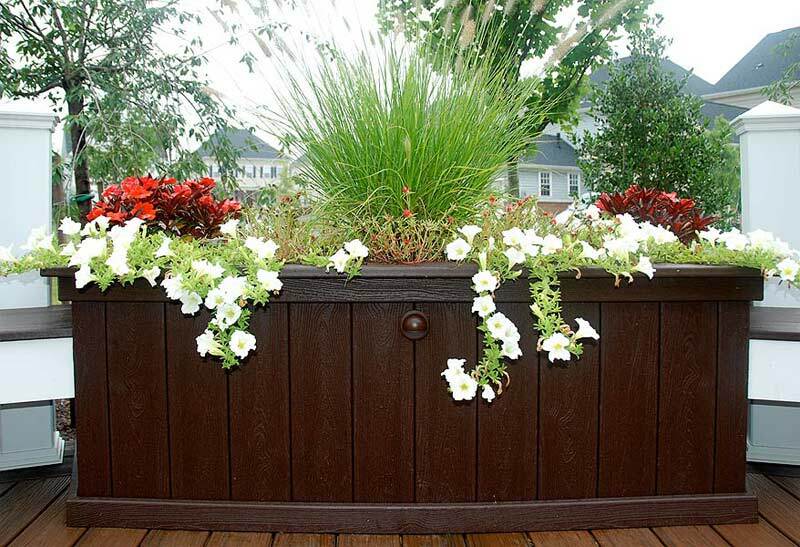 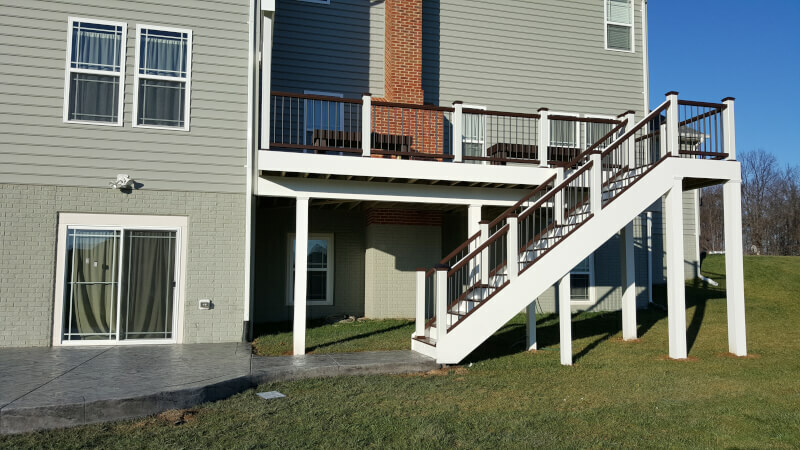 Combining the natural beauty of real wood with the low maintenance features of Trex can make the project more affordable and just as beautiful. 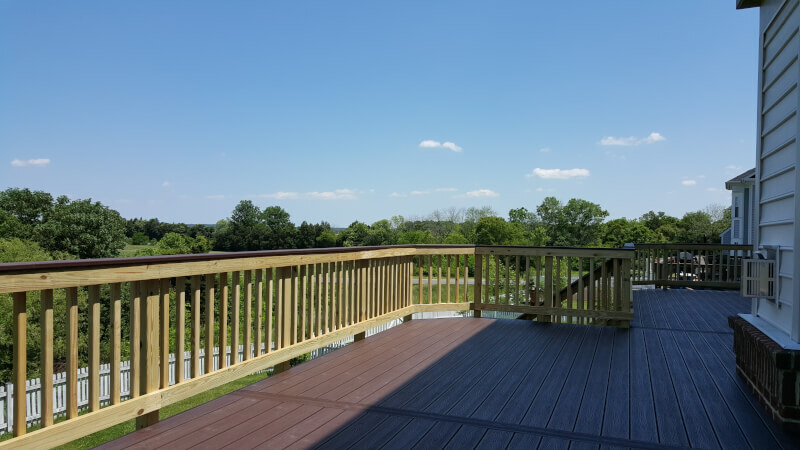 By replacing the wood decking and top railing with Trex, we have extended the life of the deck by eliminating the need for staining and sanding on all flat surfaces. 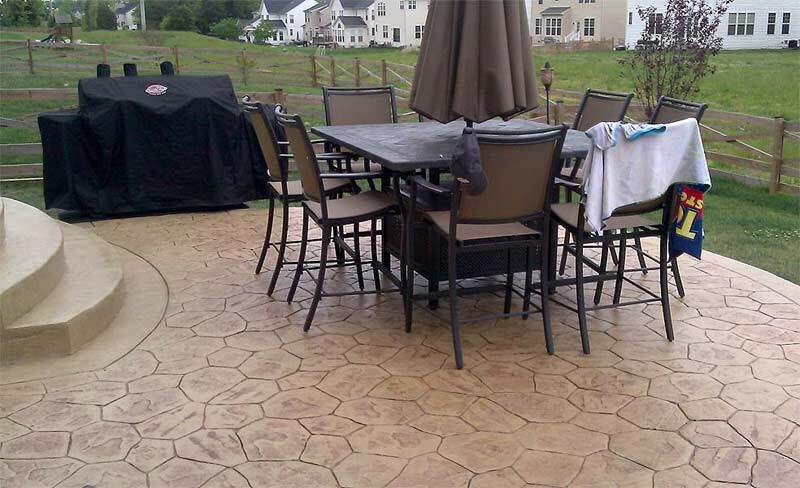 Flat surfaces tend to hold and absorb water, Trex is water resistant, splinter resistant, and stain resistant leaving you with a longer lasting and virtually maintenance free surface. 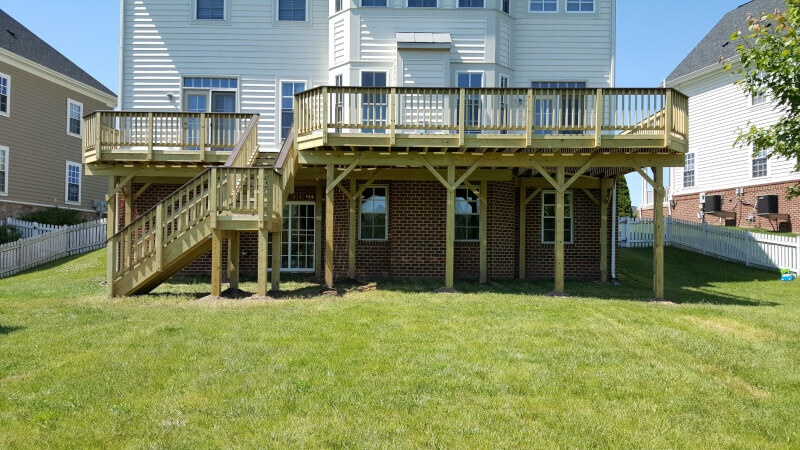 Whether you are updating an old deck or building from scratch, the possibilities are endless with these products and our design! 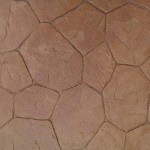 Take me to the Trex Website! 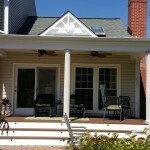 Gable Roof Feature with Starburst accent. 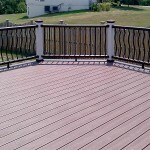 Trex Spiced Rum Decking. 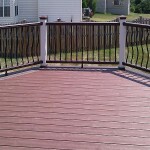 Trex Porch Decking in Spiced Rum with Fiberglass and Vinyl Trim. 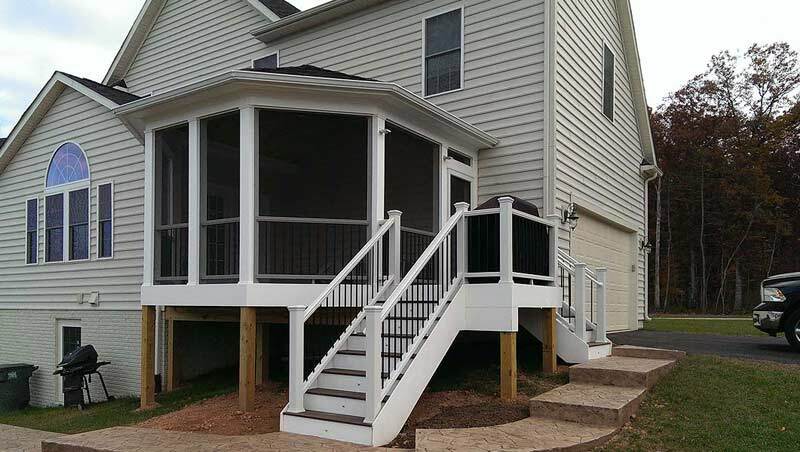 This beautiful Covered Porch, located in Gainesville, Virginia features beautiful Trex Transcends Porch Decking in Spiced Rum color installed using a hidden fastener system. 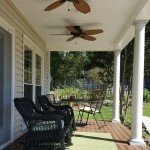 Three large beautiful Roman Columns accented by large moldings and trim make you feel as if you have extended the comfort of your interior living space to the great outdoors. 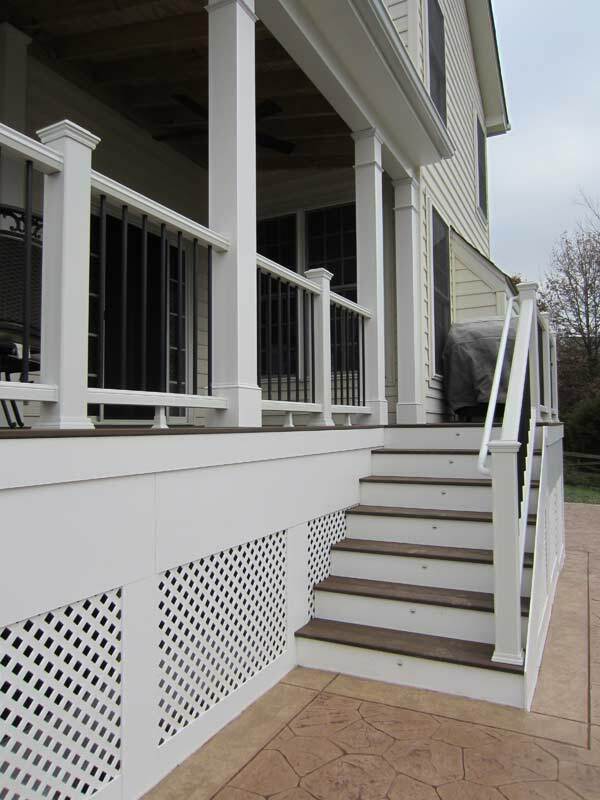 This porch also has a beautiful wrap around stair case with decorative LED step lighting for that finished look even at night! 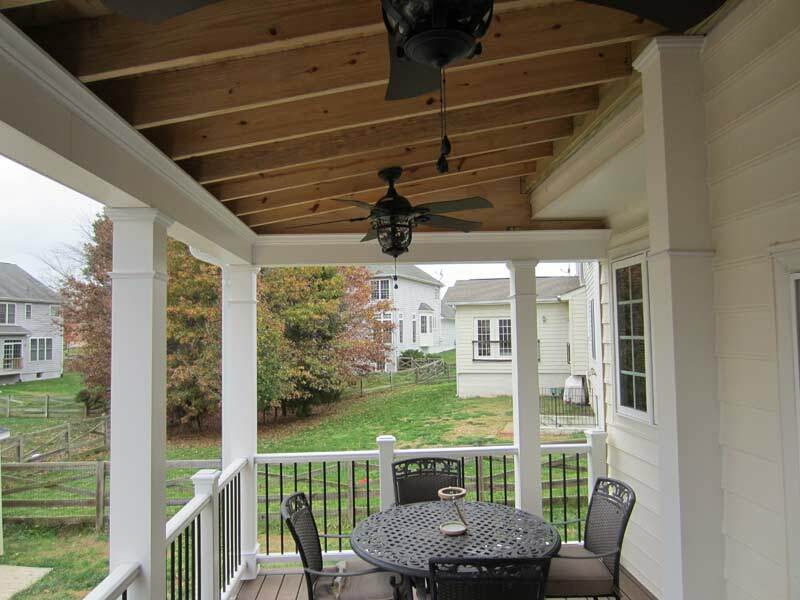 The roof line features a decorative gable insert to break up the lines and give it that custom look! 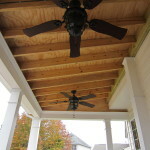 Inside the porch, the LED recessed lights provide security at night and illumination of the space for night time use. 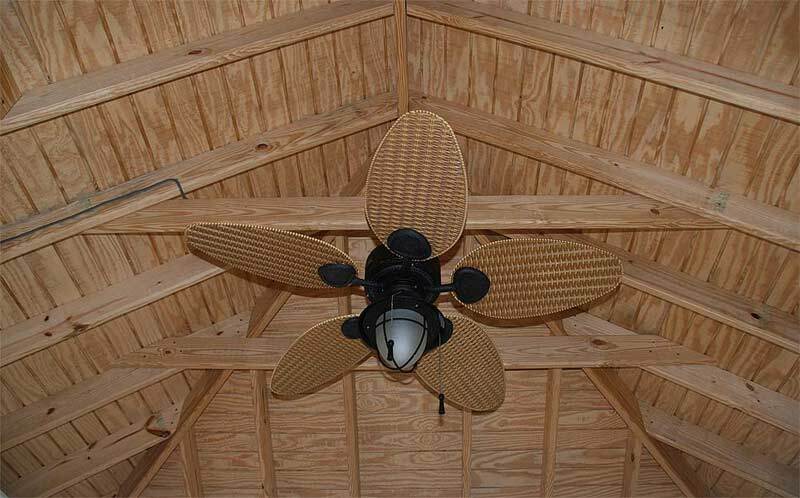 Two ceiling fans keep the air moving allowing you to enjoy this space during those long summer evenings! 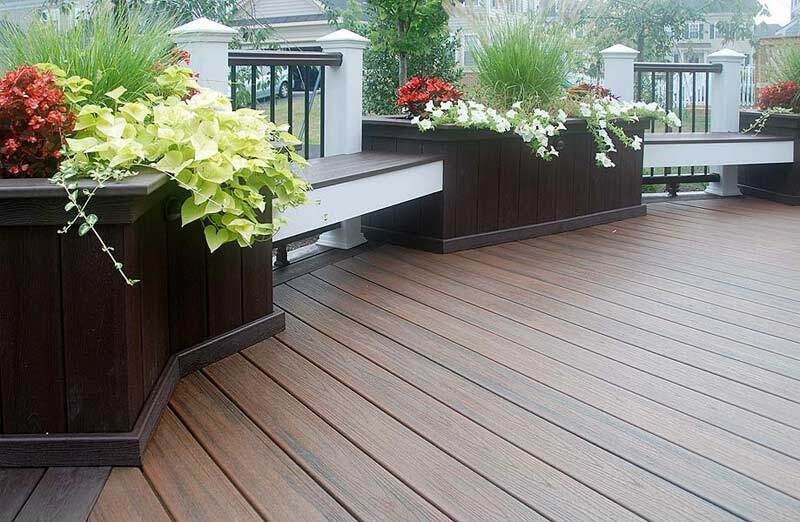 Trex Transcends Decking with Vinyl Trimming. 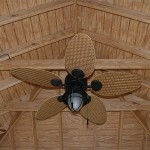 Decorative Beaded Ceiling with two Ceiling Fans. 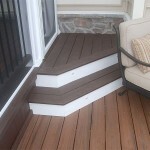 Trex Steps with LED lighting. 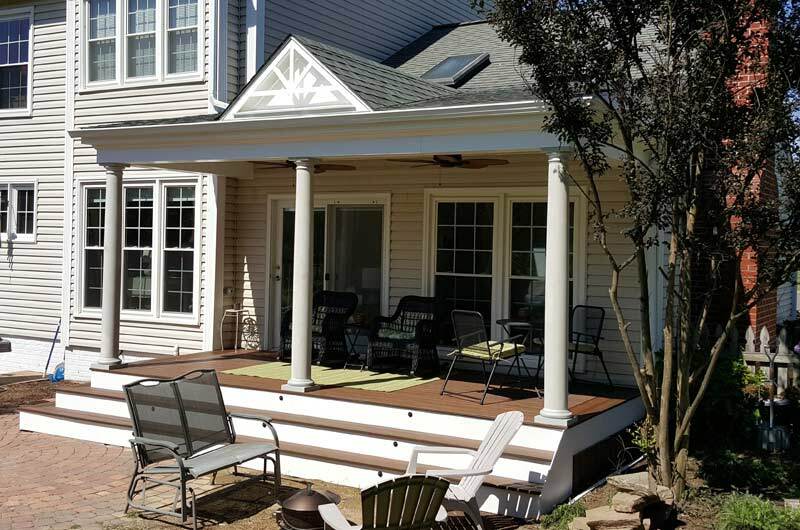 This beautiful Covered Porch, located in Bristow, Virginia features Trex Transcends Composite Decking with a hidden fastener system. 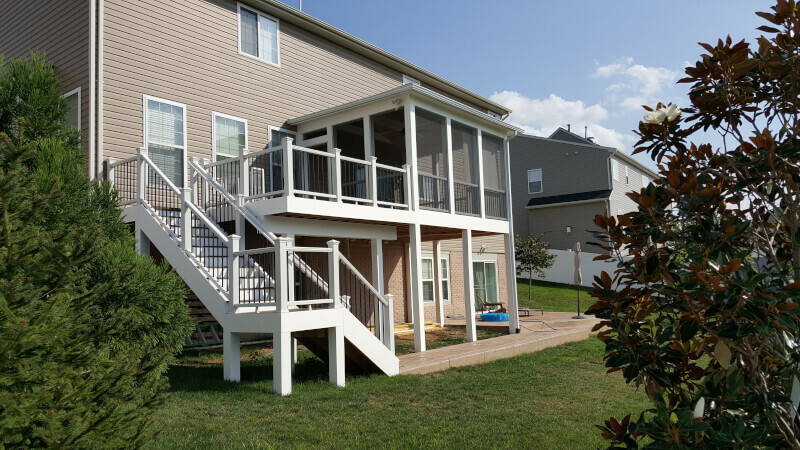 This porch is completely designed to be closed in a later date by having an under deck screening system currently installed. 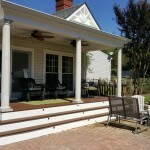 The only thing left to do is to add Screening to the decorative Vinyl Columns! 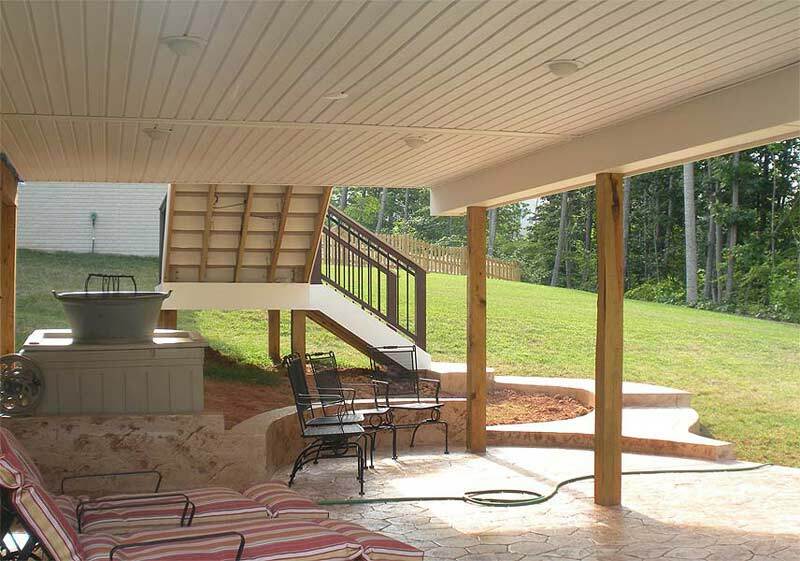 Now you are ready to completely seal your self from the bugs outside. 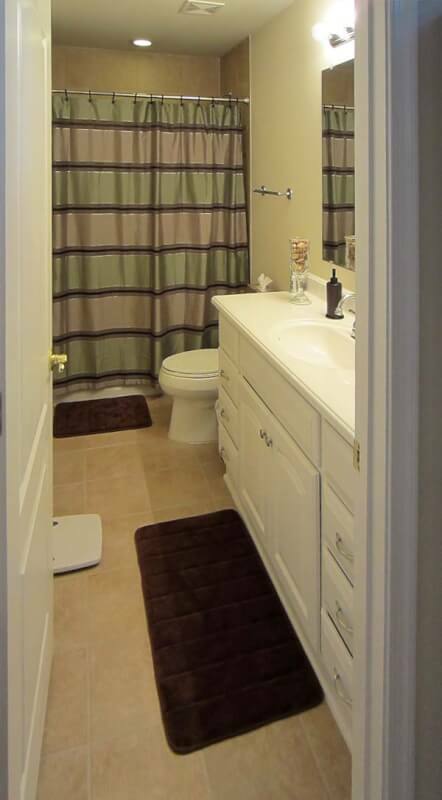 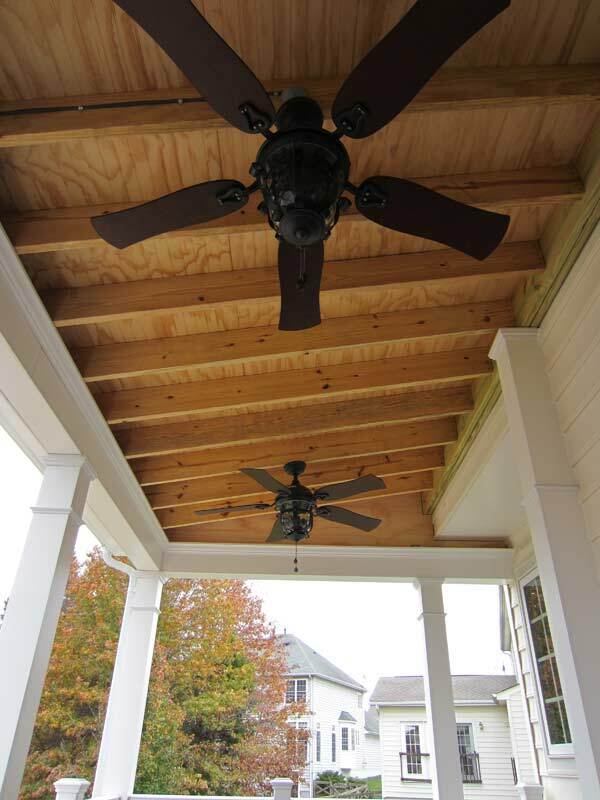 The open ceiling design has beautiful beaded paneling, decorative crown molding, a hidden lighting system, and two elegant ceiling fans to keep you comfortable during any season. 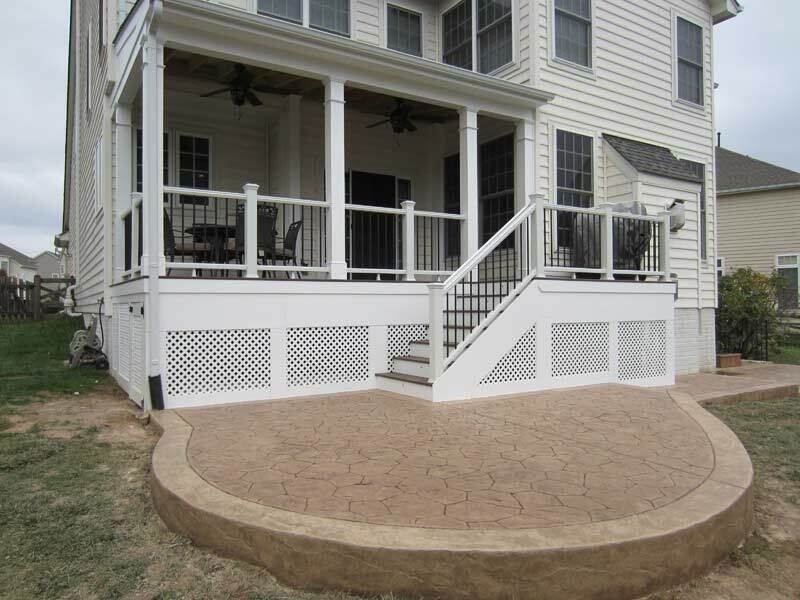 Additionally the Trex Railing with Aluminum Balusters lead to a large and spacious Stamped Concrete Patio. 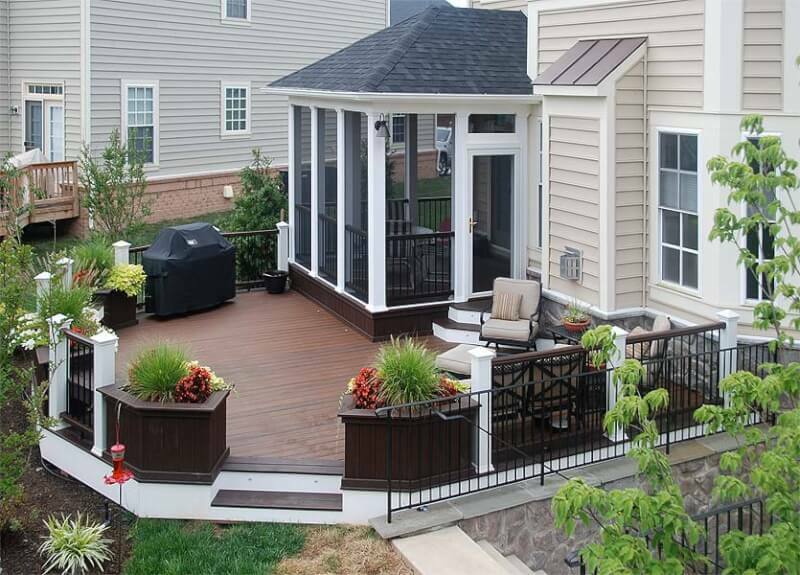 All of the products showcased here truly are low maintenance allowing the homeowners to enjoy their outdoor living space with peace of mind. 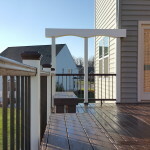 Custom Vinyl Arbor for hanging shade plants or blinds. 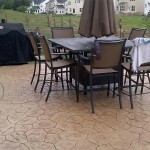 This Trex Deck leads to a beautiful Stamped Concrete Patio. 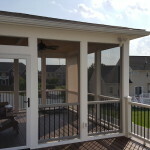 White Vinyl wrapped posts and beams. 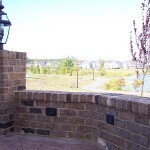 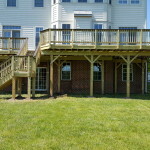 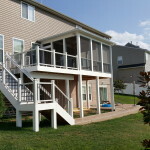 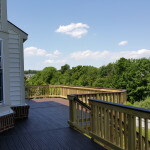 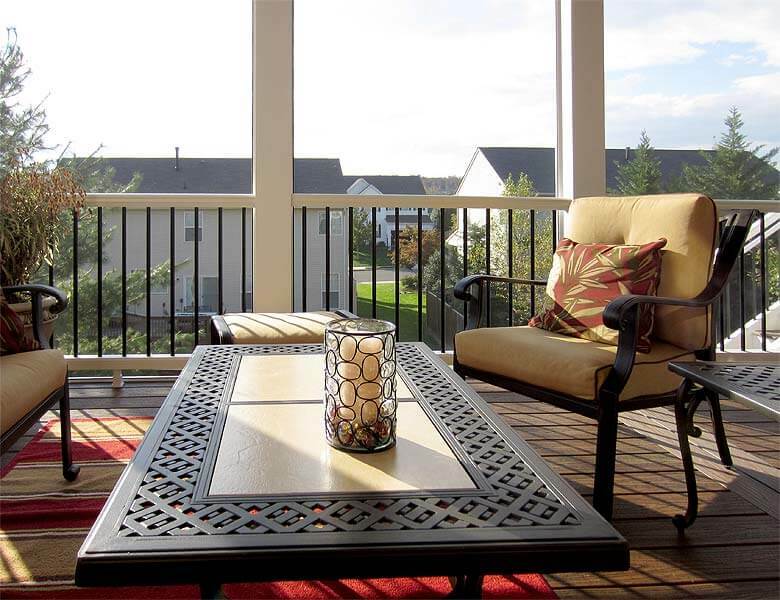 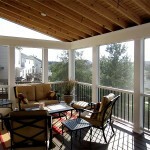 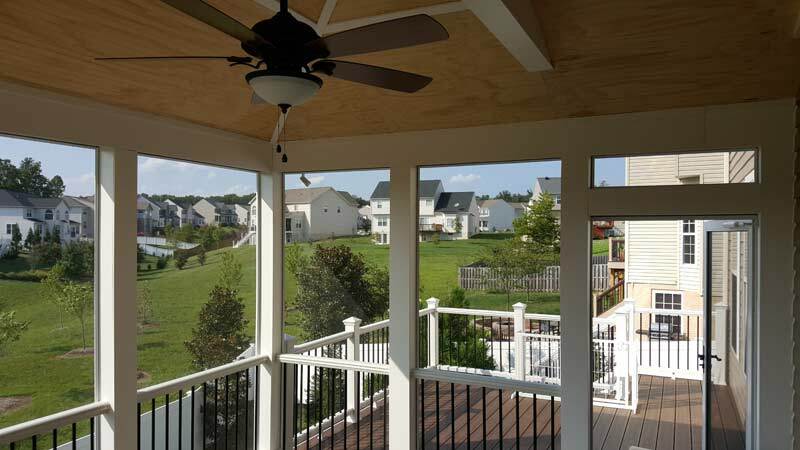 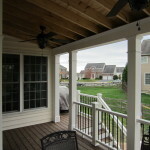 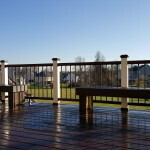 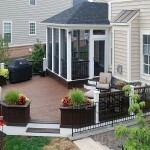 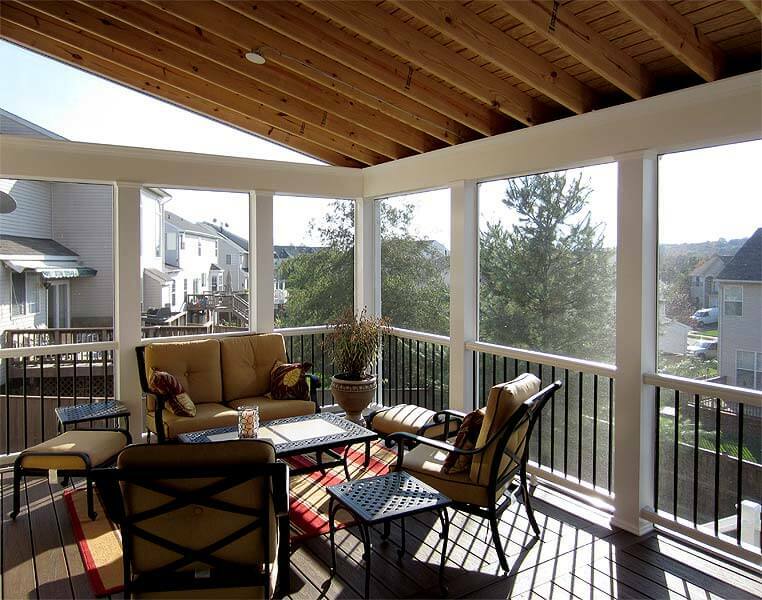 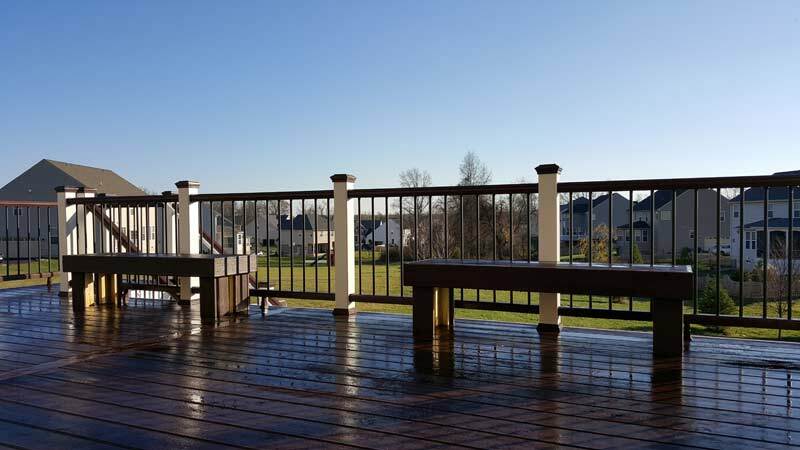 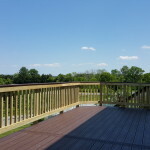 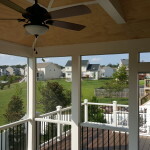 This deck and patio in Leesburg, is 100% relaxation! 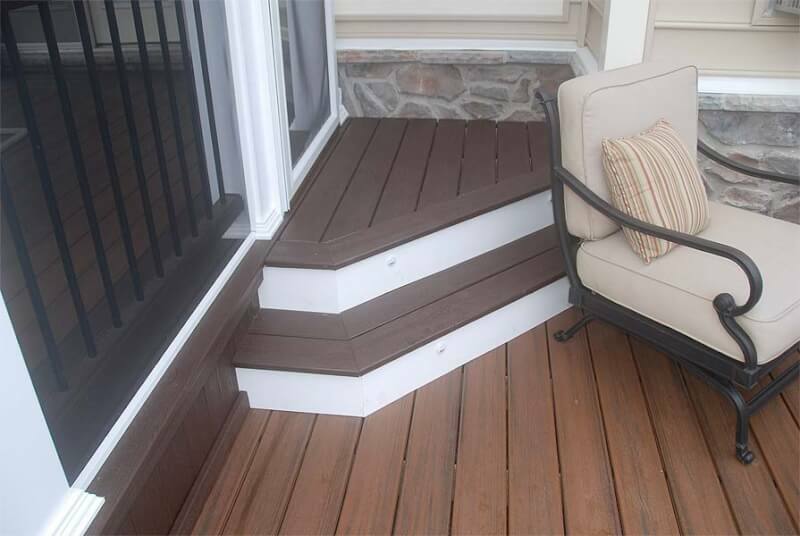 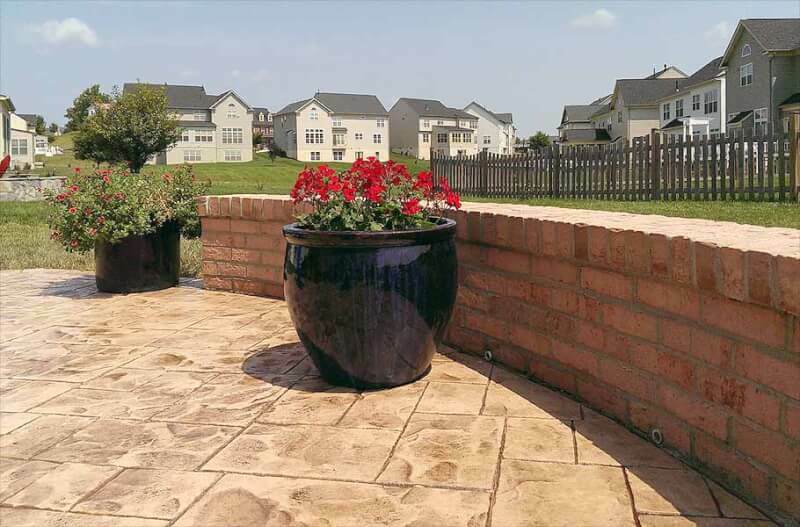 By utilizing the low maintenance products from Trex, you can spend less time every year working on your investment and spend more time enjoying your investment! 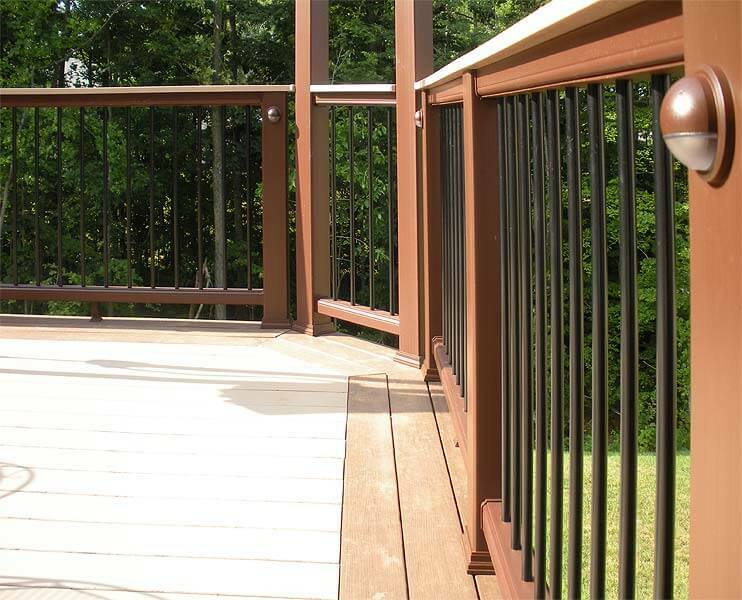 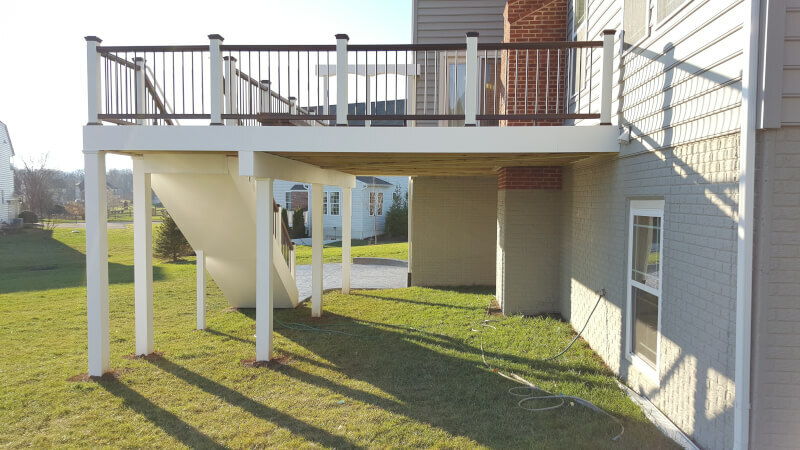 This deck uses the Trex Transcends line of materials, top of the line, for both the railing assembly as well as the decking materials. 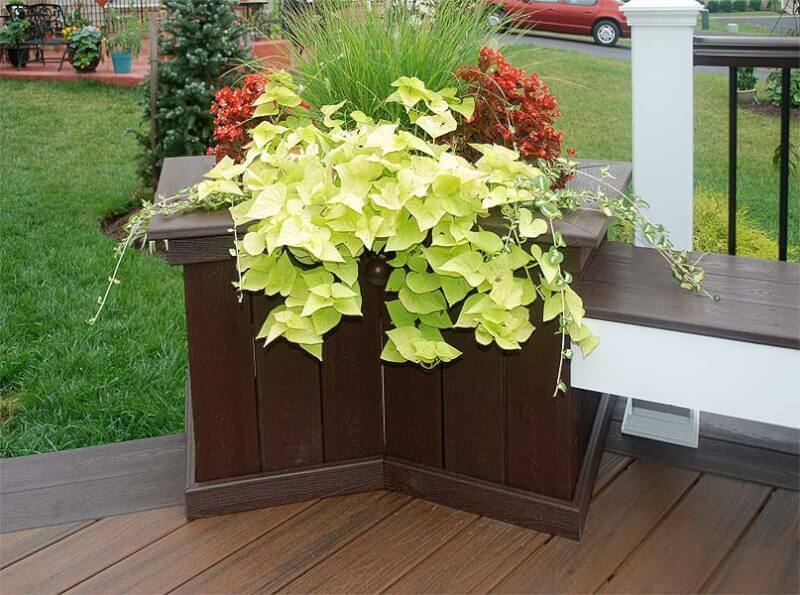 With many colors and styles to chose from the colors you see here are Vintage Lantern decking, Cross Rails, and Post caps. 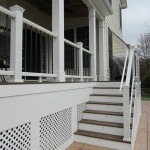 The Posts themselves and trim are white and the balusters are black aluminum. 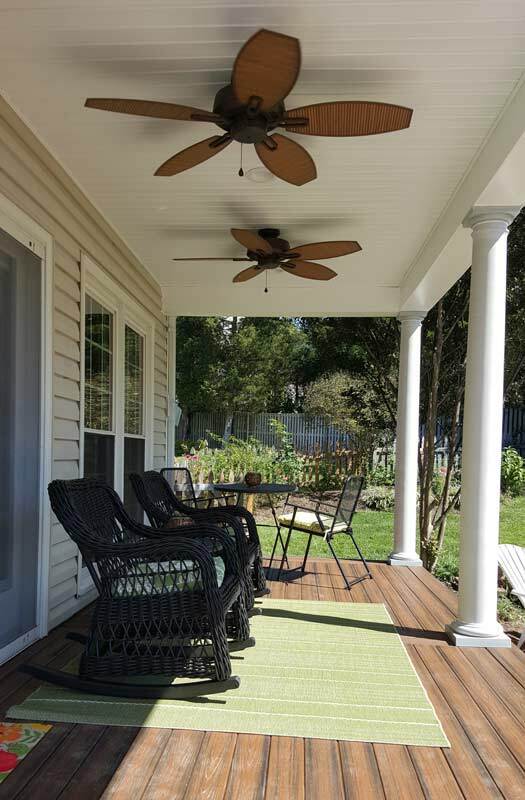 Due to the high amount of sunlight this deck receives we decided to install a decorative arbor that can hold either shade plants such as ferns or a shade roll up blind. 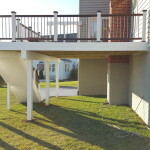 In this position the shade actually ended up blocking out the sun on over half the deck! 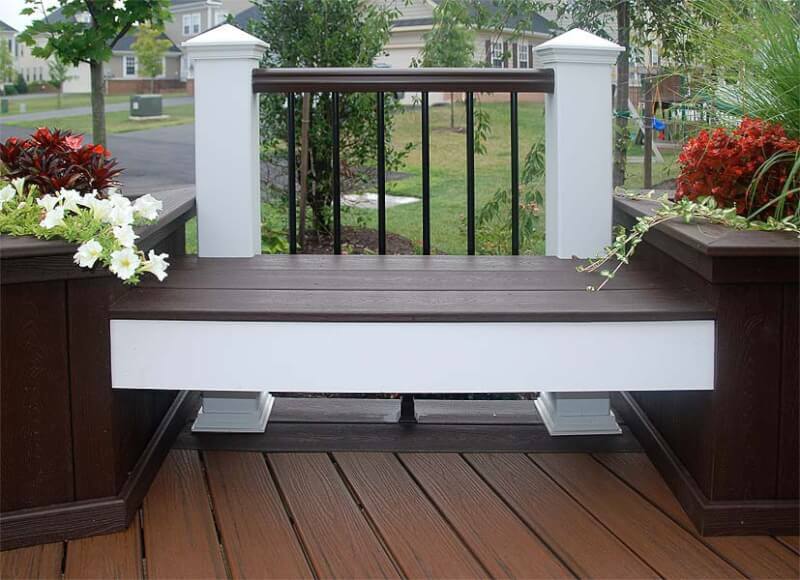 The benches here are made out of the same materials are the decking. 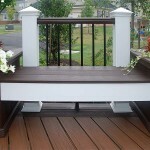 They are easily movable for multiple setups and locations. 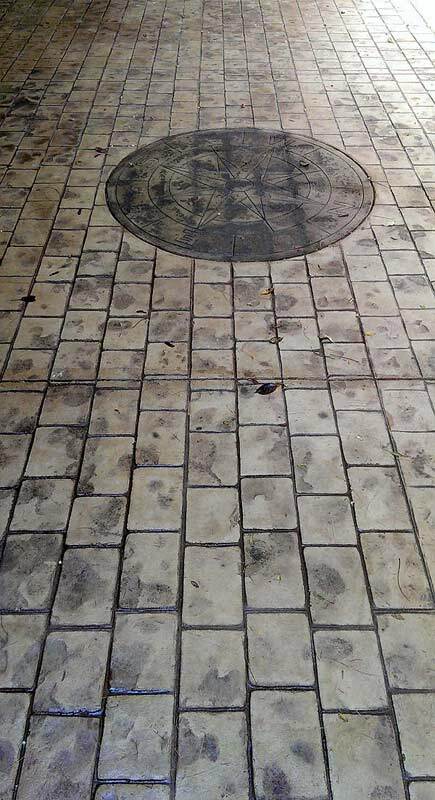 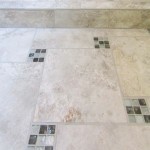 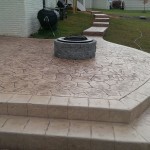 The last thing to complete this design is the large Stamped Concrete Patio at the base of the stairs. 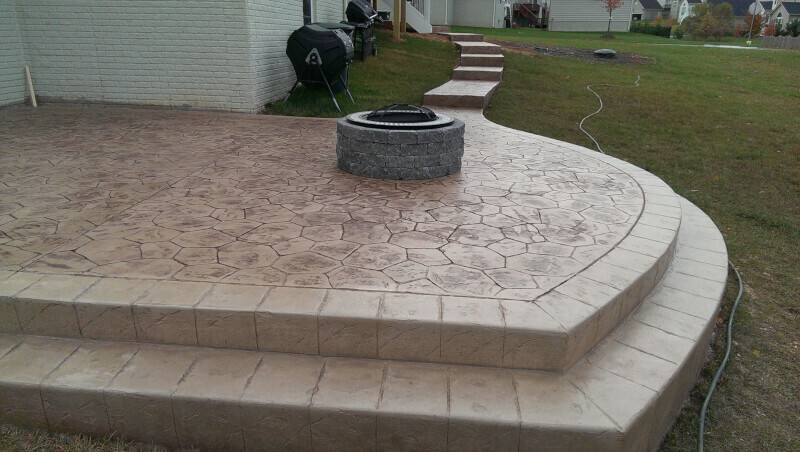 The design is perfect for those cool nights by a nice fire pit. 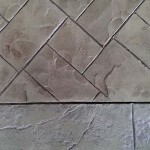 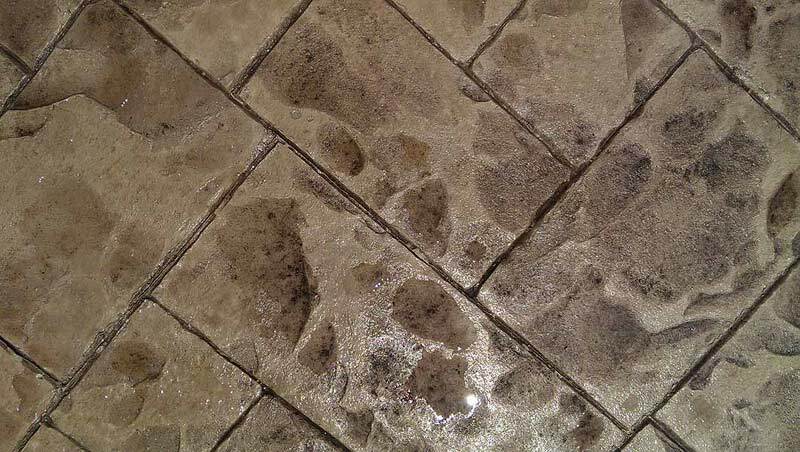 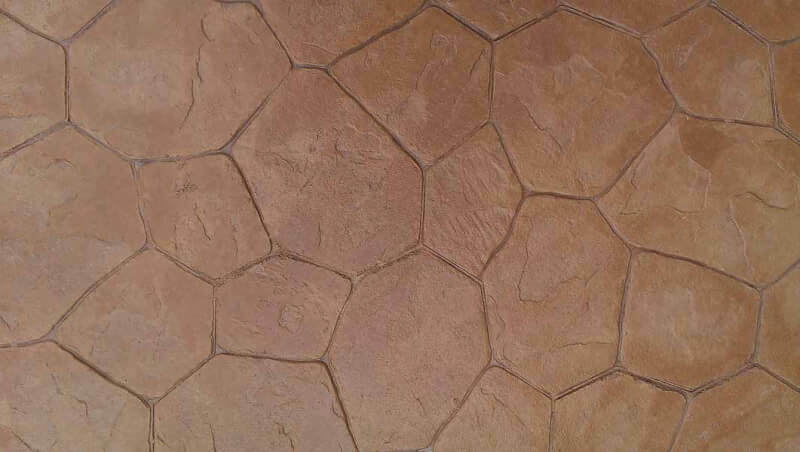 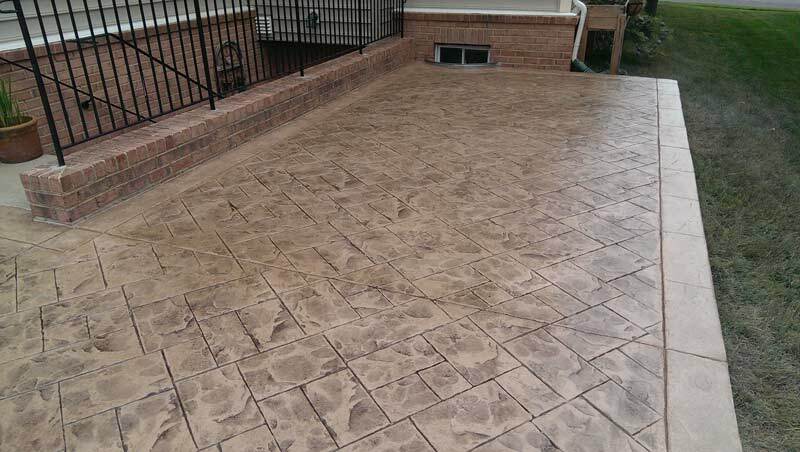 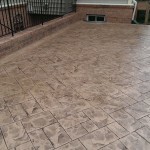 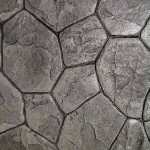 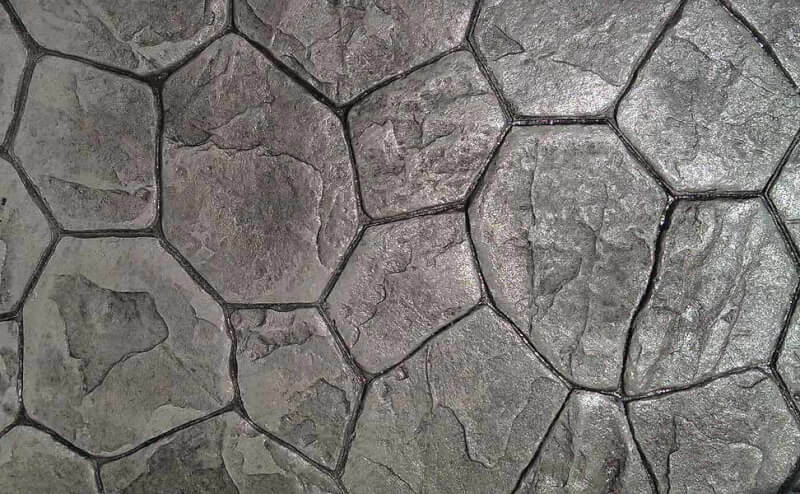 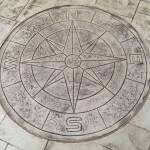 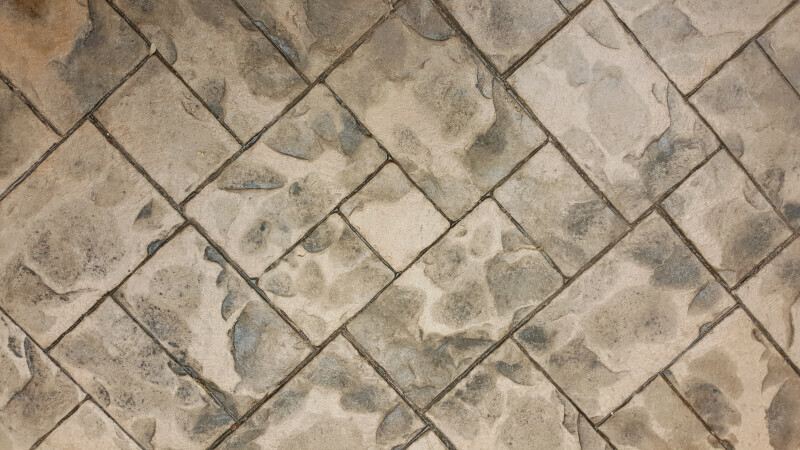 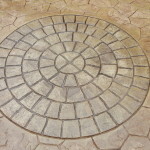 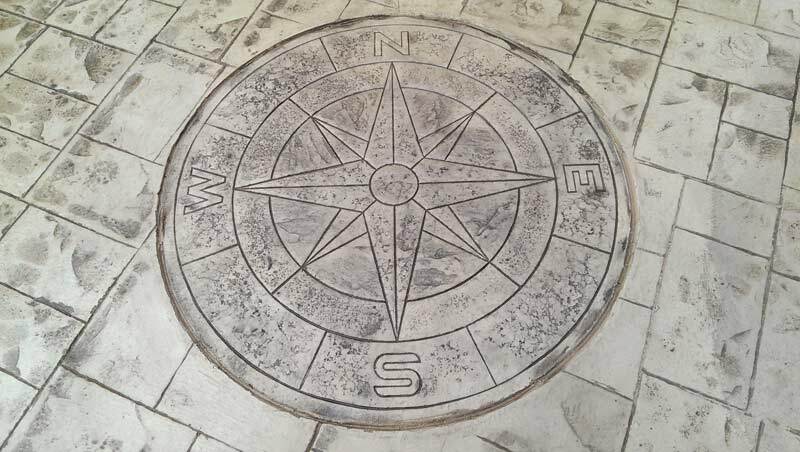 Stamped Concrete is a perfect addition to any low maintenance deck as the product itself requires very little work to keep it in excellent shape for years to come! 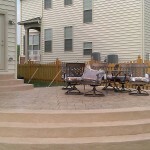 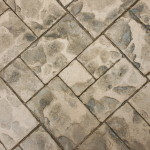 Stairs lead to a stamped Concrete Patio. 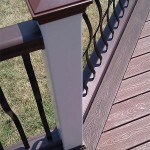 Trex Decking with vinyl column wraps. 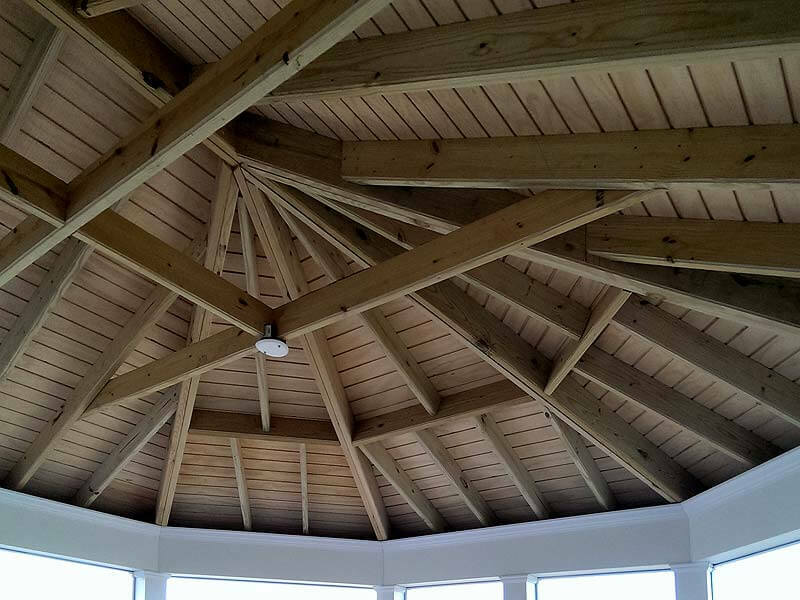 Vaulted Ceiling with Beaded Panels. 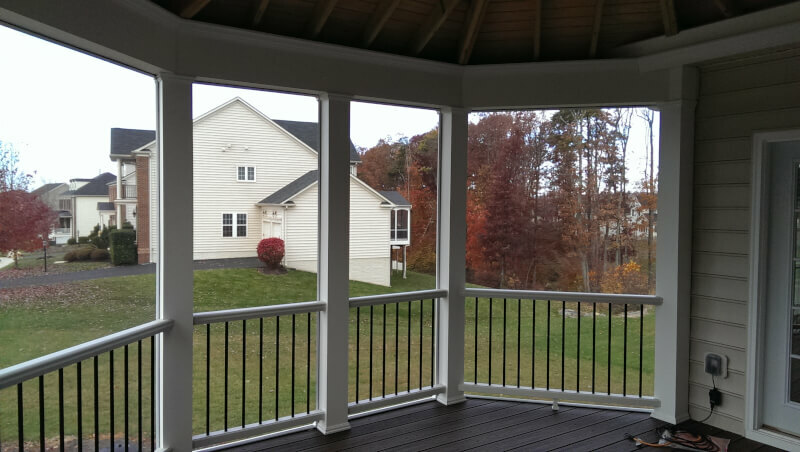 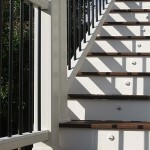 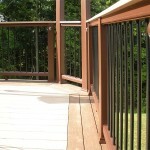 Trex Transcend Railing with Aluminum Balusters. 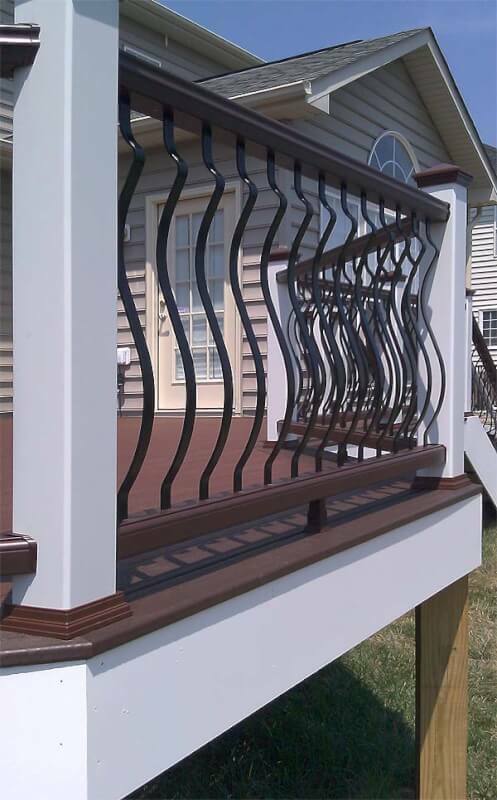 Screen EZE screening system. 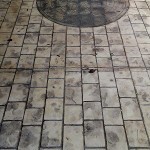 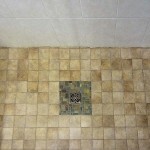 Often times we come across a project that was in neglect and needing completion. 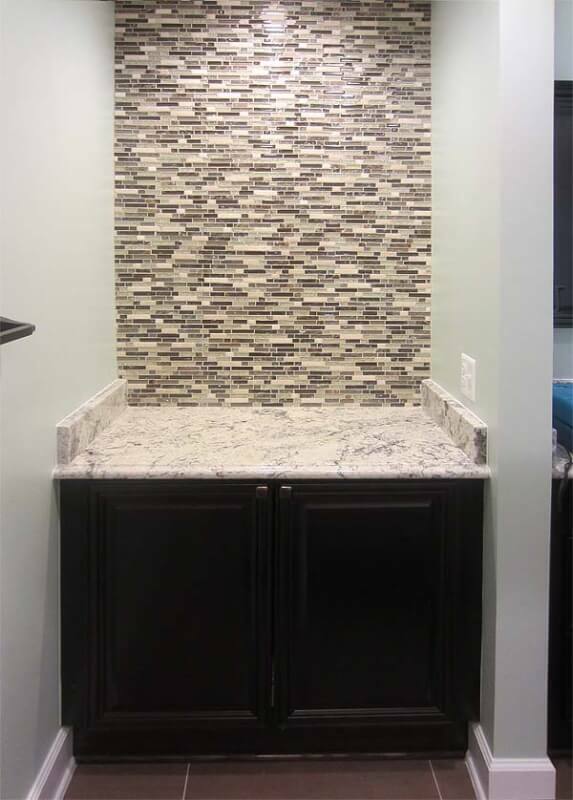 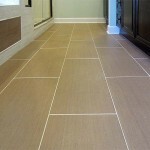 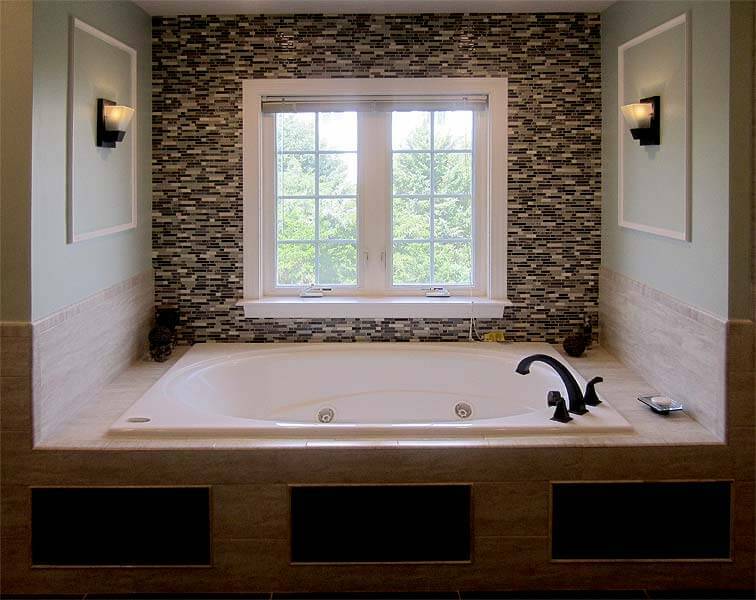 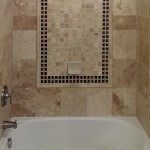 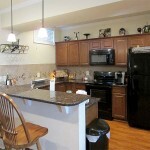 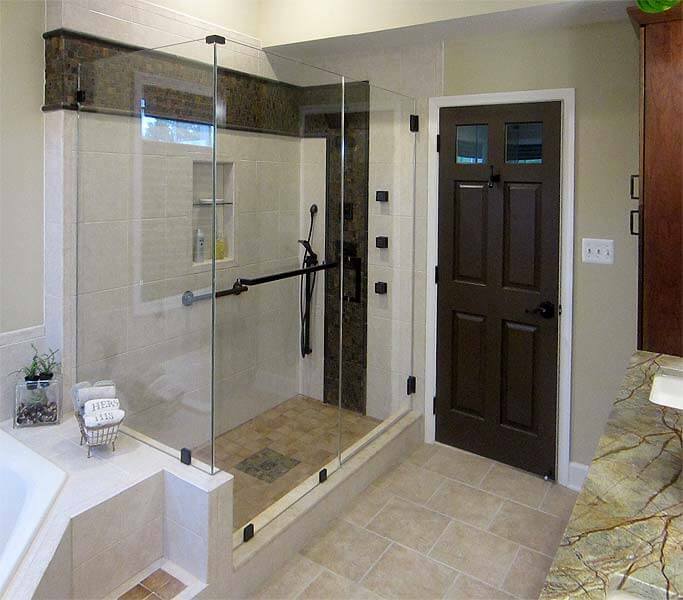 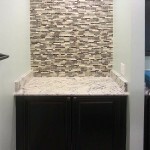 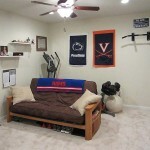 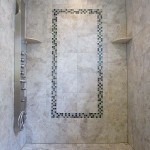 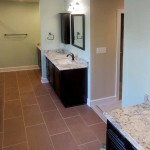 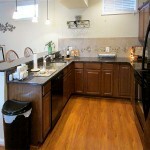 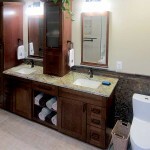 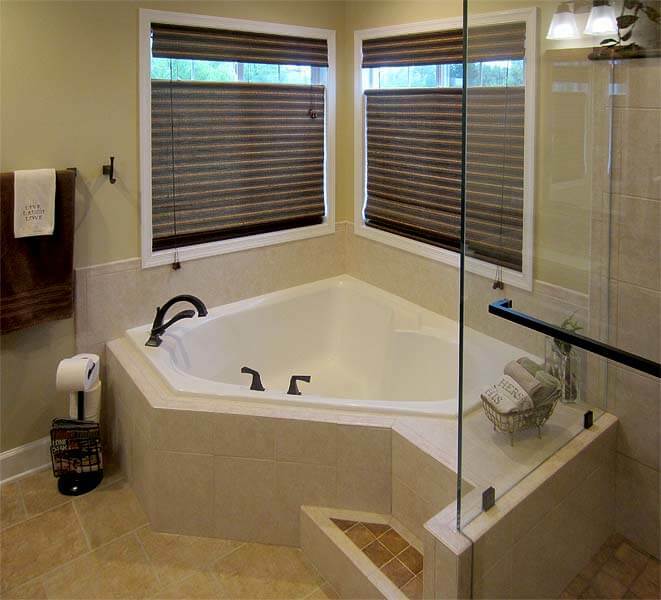 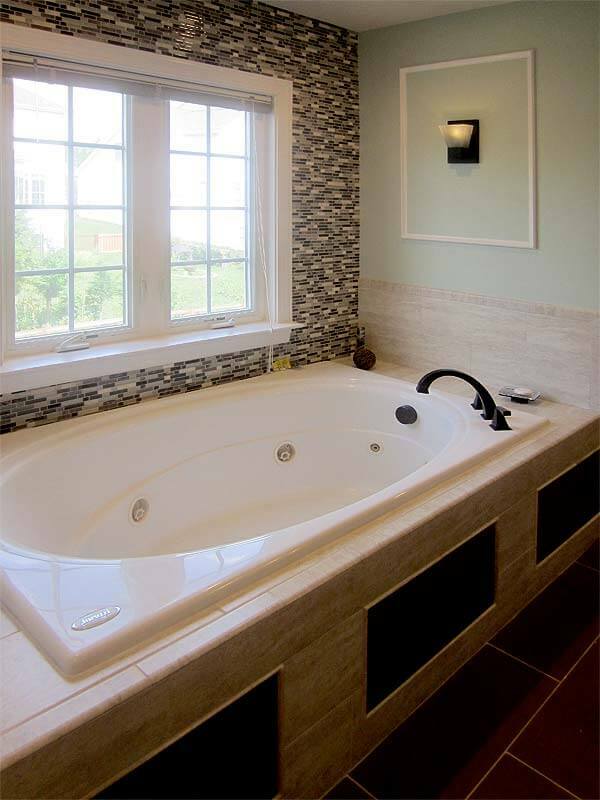 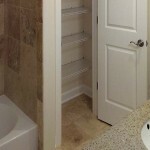 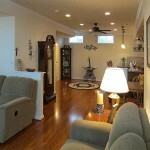 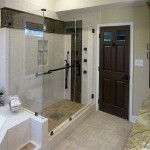 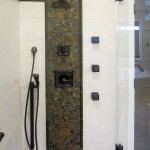 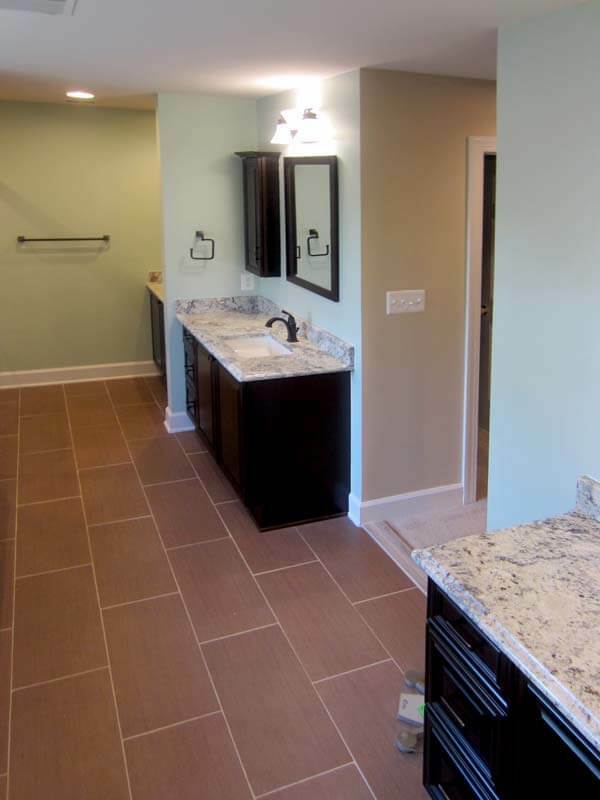 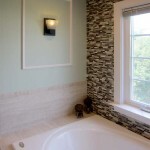 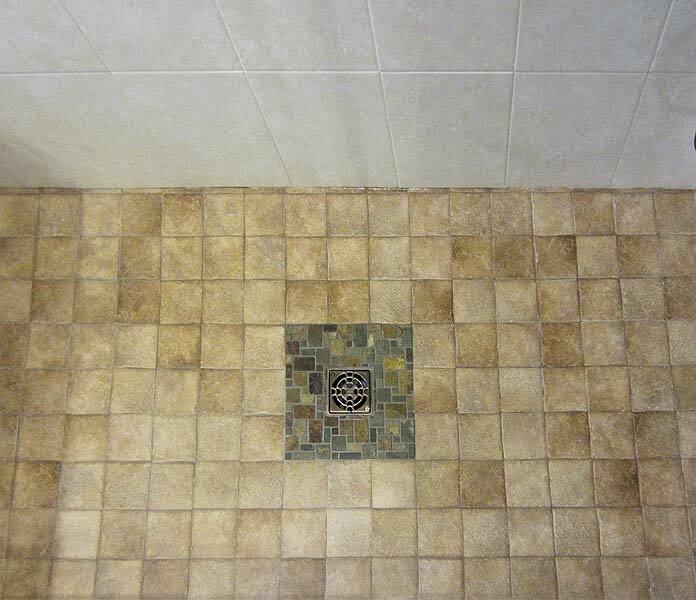 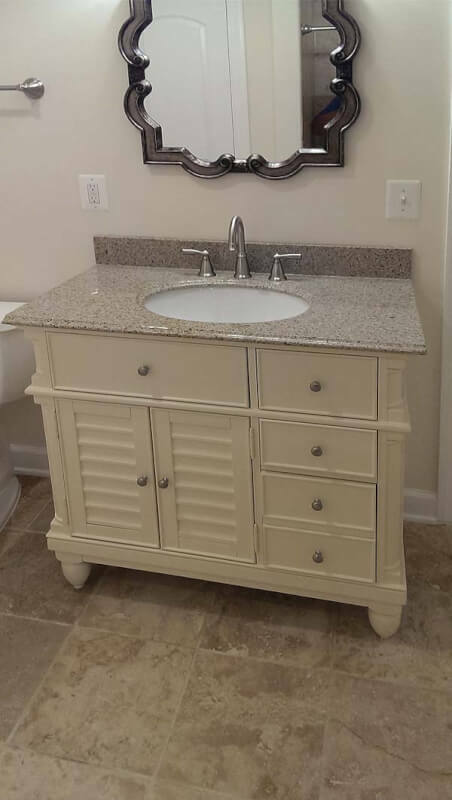 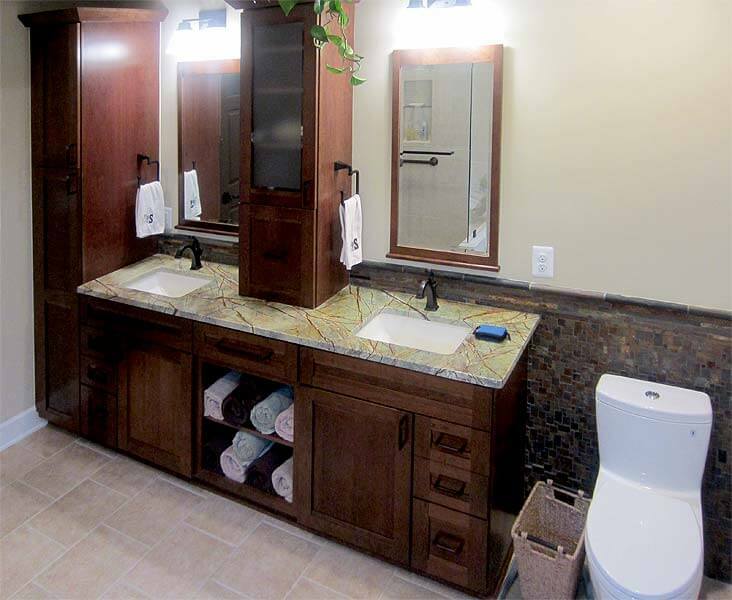 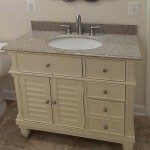 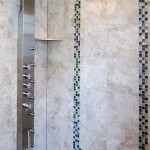 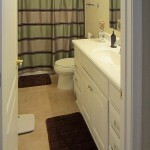 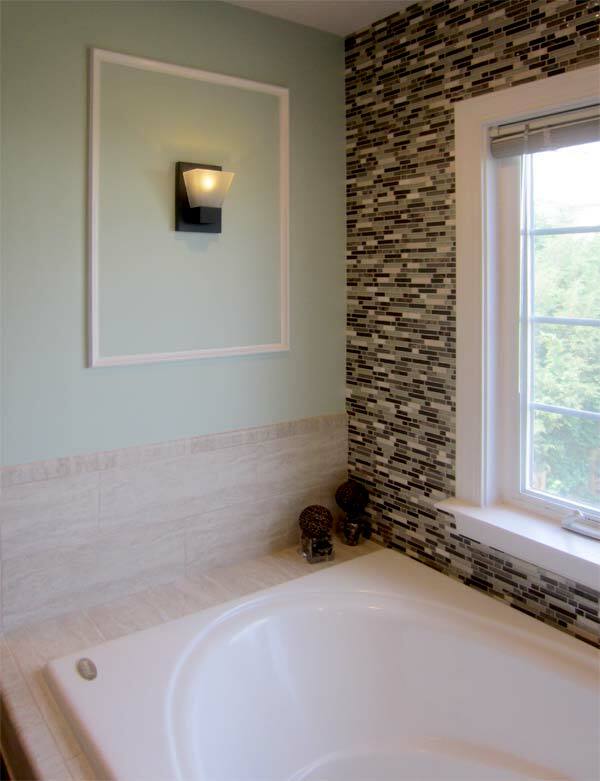 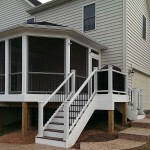 We were happy to take the up the task of completing this project for the homeowner. 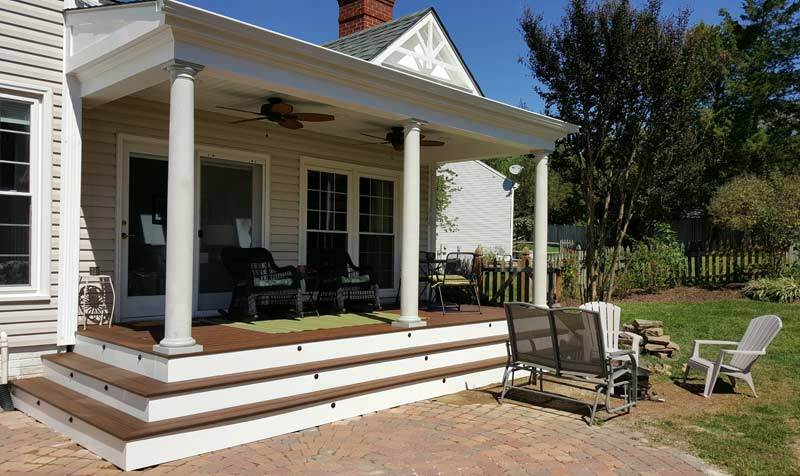 The project features Trex Decking, Trex Railings with Black Aluminum Balusters, Vinyl wrapping on all exposed beams and trim and the addition of a beaded ceiling. 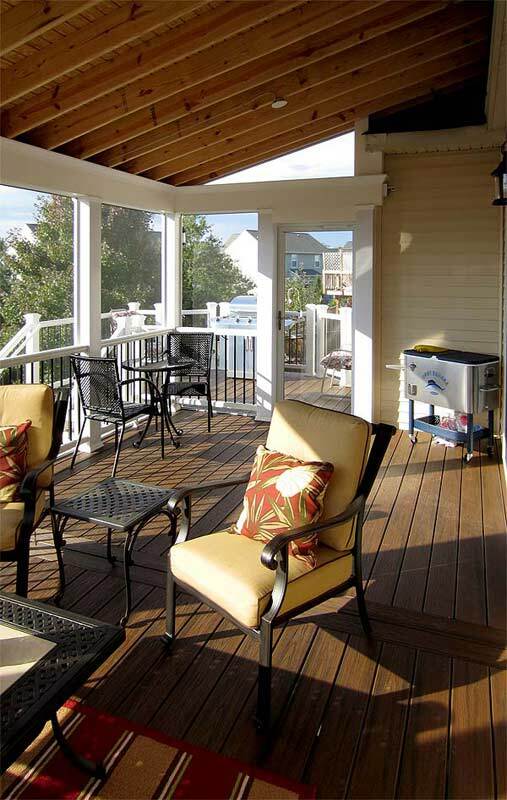 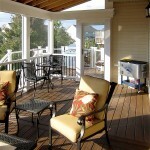 This Deck has both outdoor and indoor space to move from one living area to the next to your hearts content. 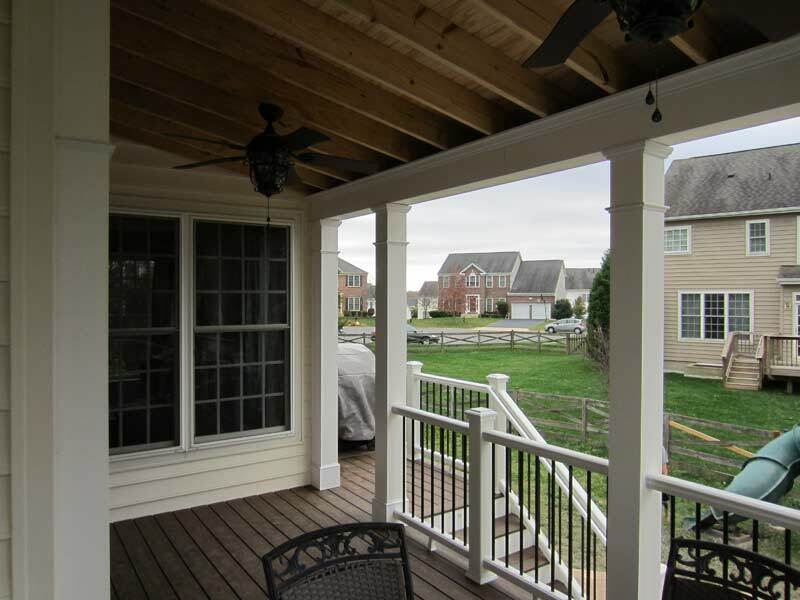 We used a special screening system to allow the homeowner to easily replace or re-stretch screening in the future without having to leave the inside of the porch. 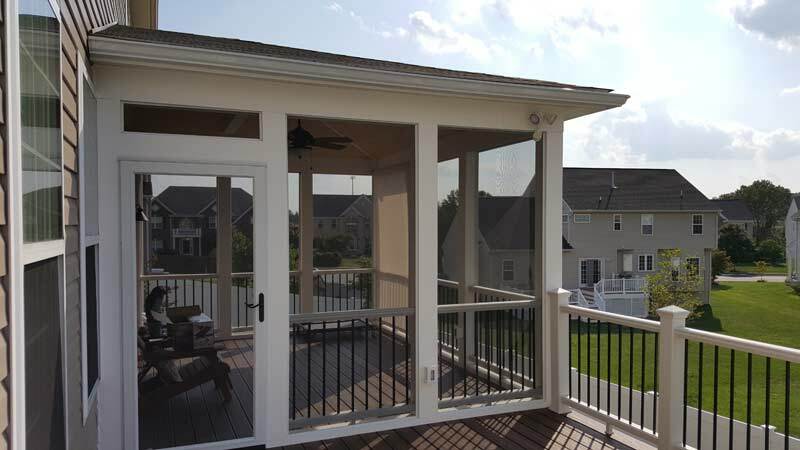 This Gainesville Screened Porch and Patio feature additional plugs and outlets for use both inside and outside the porch with additional switches for a ceiling fan and flood light. The patio below the deck is a beauty and is made of Stamped Concrete, which extends from the base of the deck stairs to the basement door. 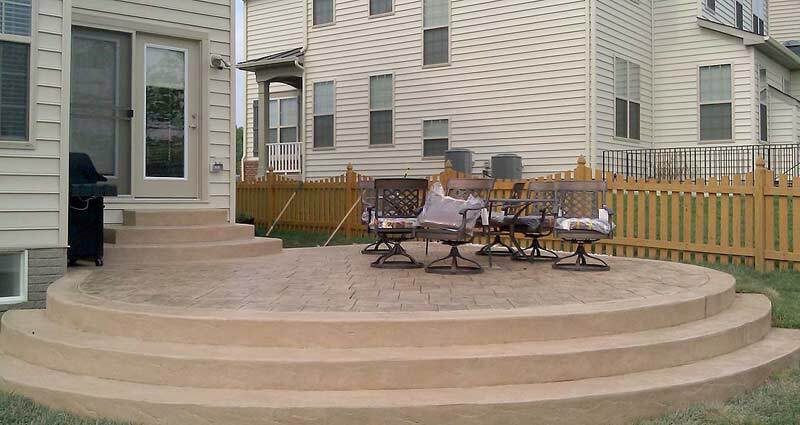 Plenty of room for outside entertainment! 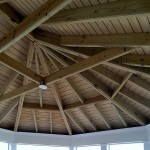 Beaded ceiling with beautiful rafter work. 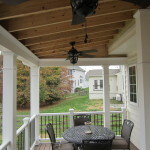 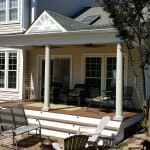 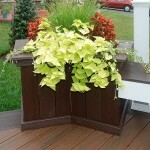 Trex Transcends Decking in Vintage Lantern with Vinyl Wrapped Posts and Beams. 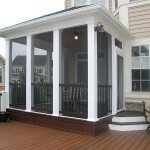 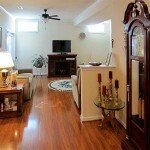 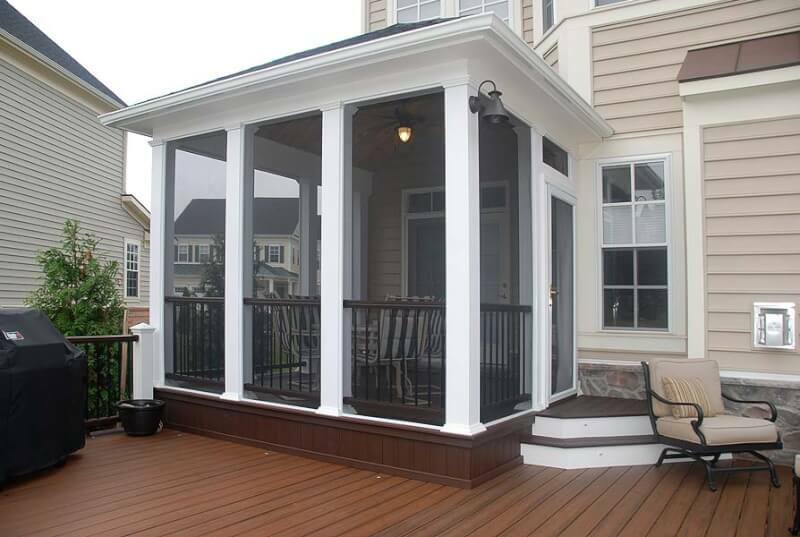 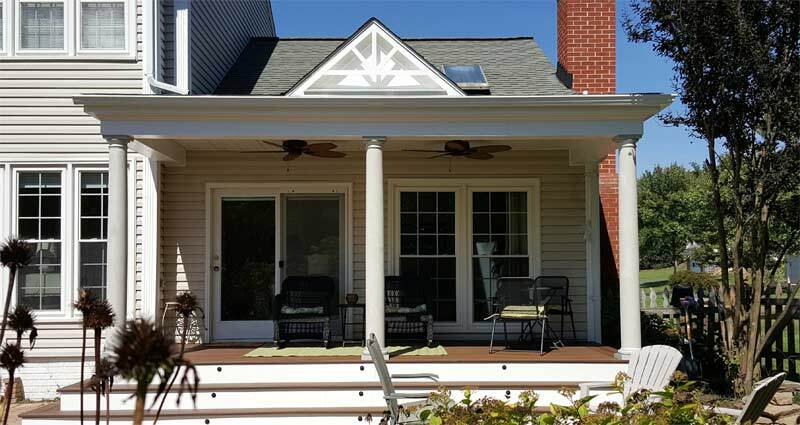 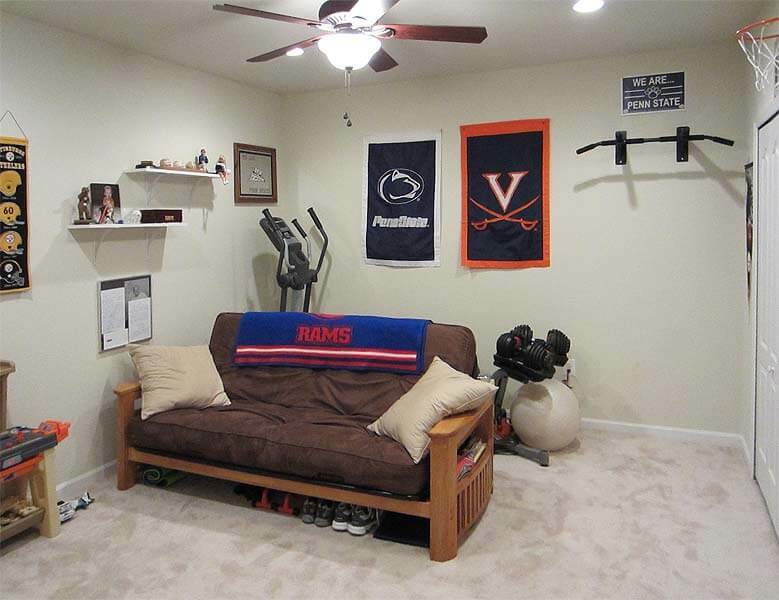 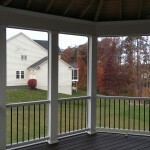 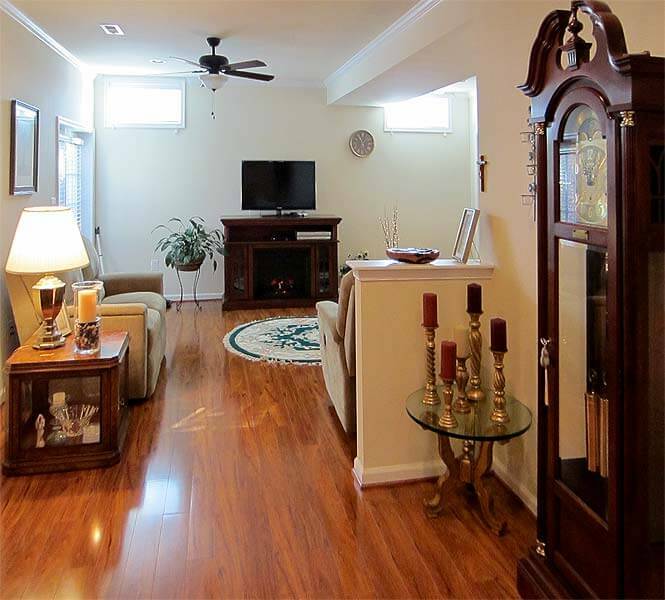 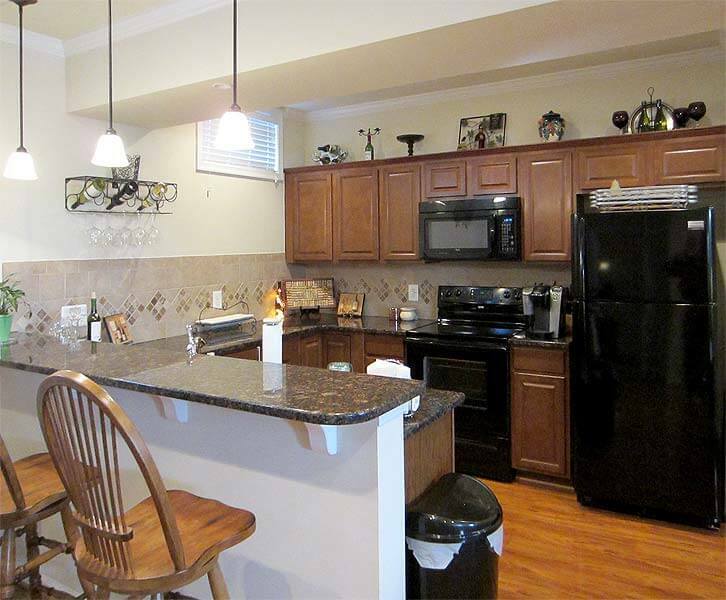 This one of a kind Screened Porch and Patio located in Leesburg, really stands out. 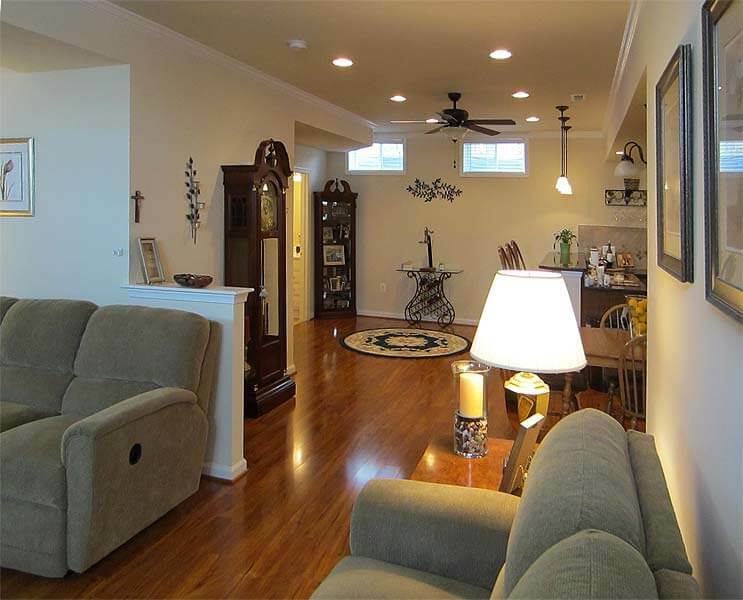 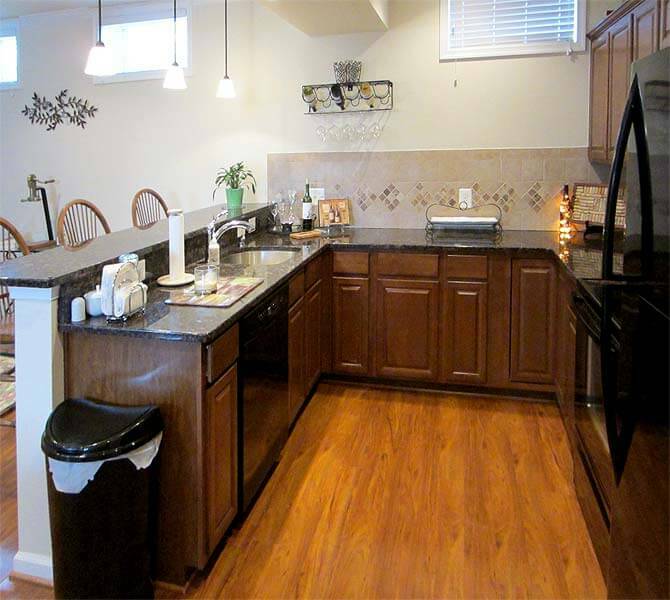 It features a beautiful octagonal layout that flows all the way to the ceiling line. 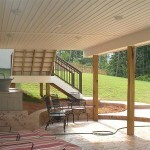 Attention to detail was a huge key on this project as the customers wanted a very decorative roof line and layout. 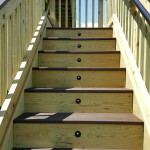 The roof contains Routed Pine Rafters with Beaded Paneling on the ceiling. 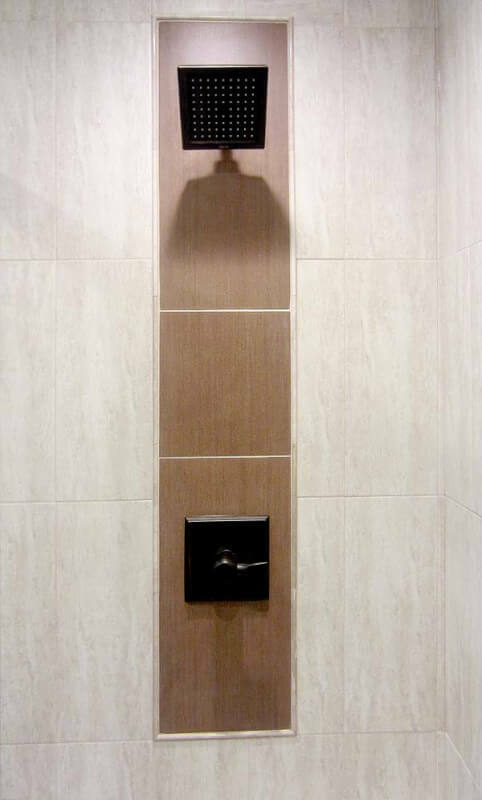 The Trim around the roof line is all Vinyl and contains concealed lighting which displays the roof in a subtle yet dramatic effect. 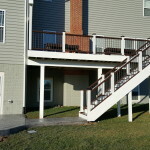 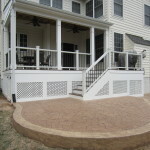 The customers went with Trex Transcends Decking and Railing to compliment the high end look. 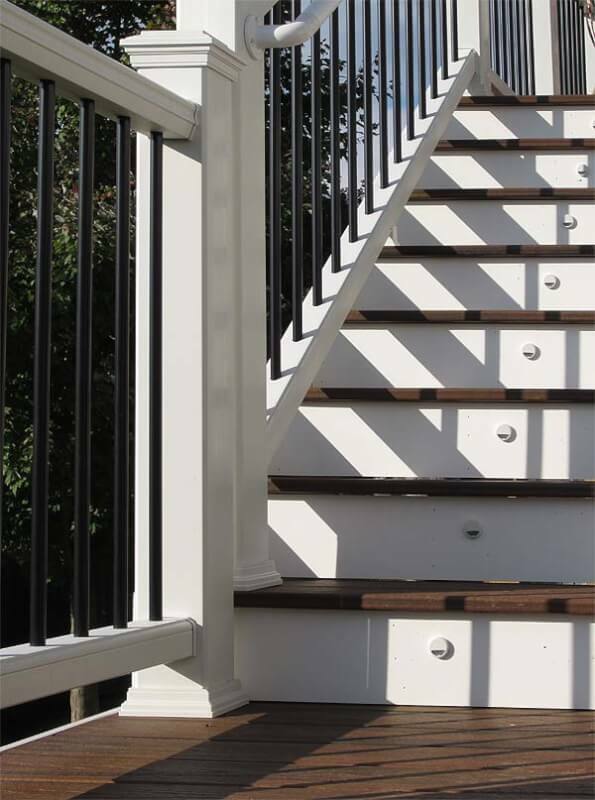 The balusters on the railings are Black Aluminum and provide the necessary contrast to the white railing members. 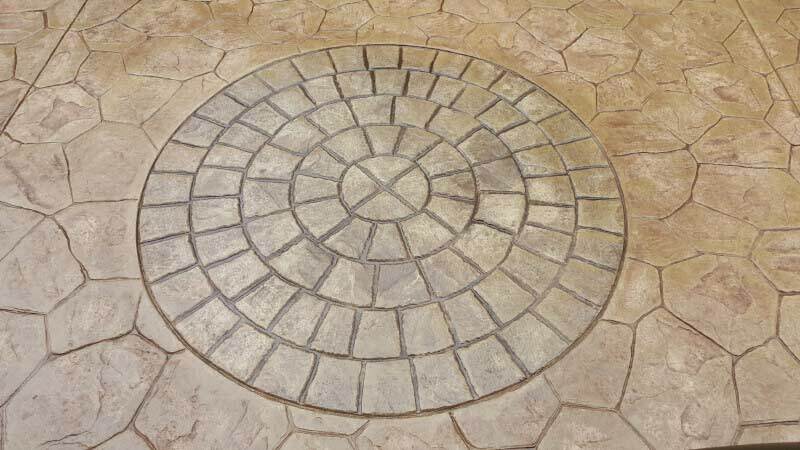 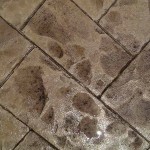 Once out of the porch, LED lighting illuminates your steps to a winding Stamped Concrete Pathway that leads to a large Stamped Concrete Patio. 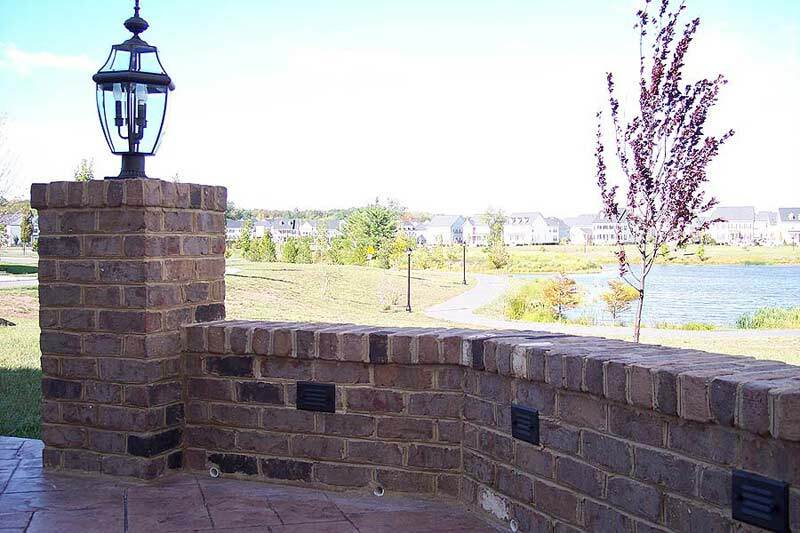 But we didn’t stop there, a wood burning Fire Pit finishes off the patio and provides a nice place for roasting marshmallows our relaxing outside on a cool night by the fire. 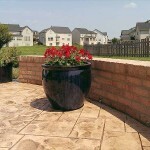 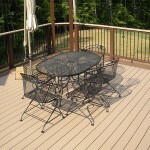 This Haymarket Trex Deck features a beautiful octagonal bump out for seating or dining. 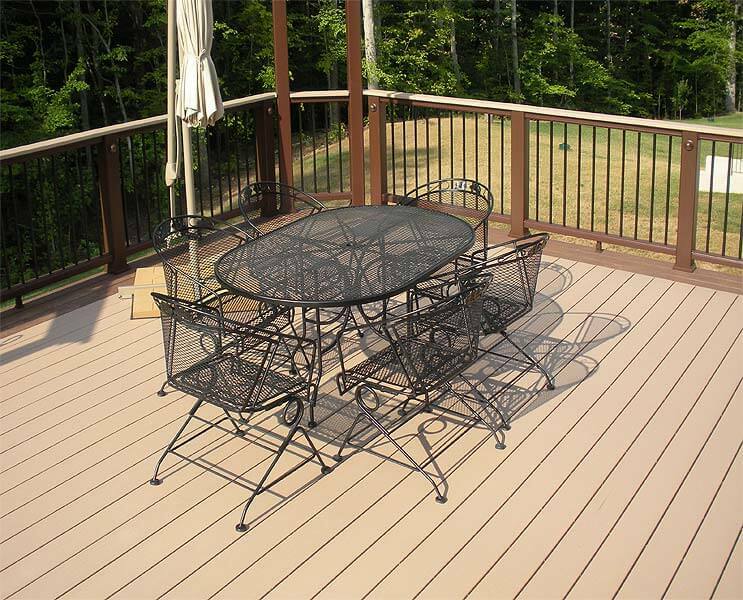 The Deck is wrapped with white vinyl trim, the decking is the Transcends line from Trex and comes in competing colors to really accent the detail work as well as outline the deck. 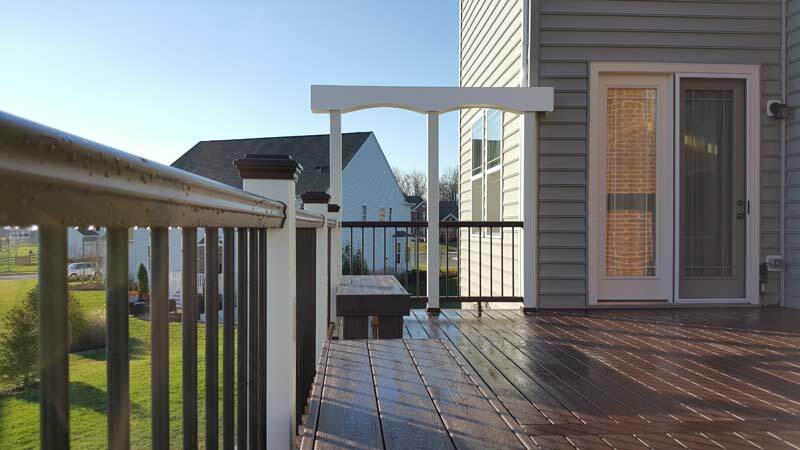 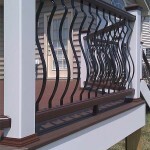 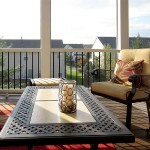 This Haymarket Trex Deck railing is not the normal, either! 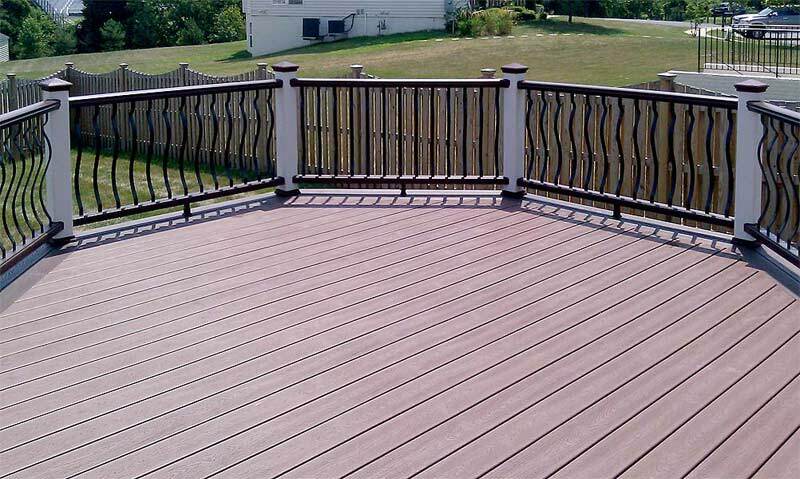 It features a decorative Baroque style baluster that is not only elegant, but sets this deck apart from the standard decks of today. 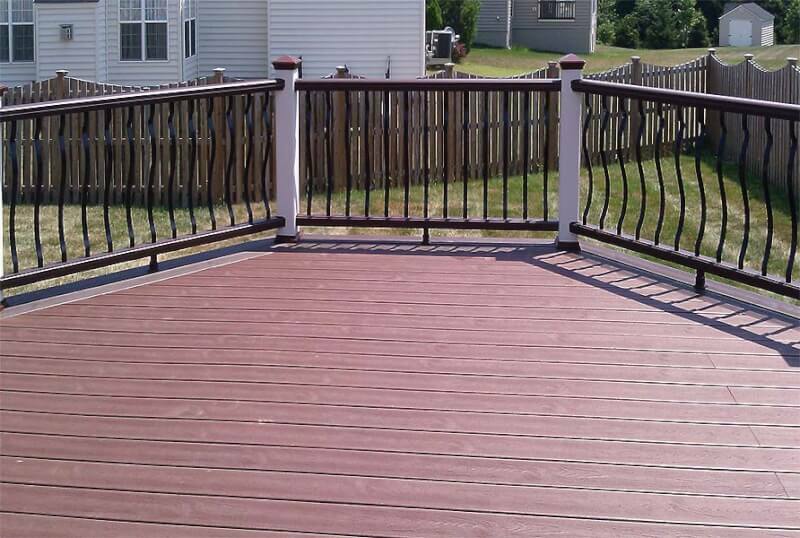 LED lighting finishes off the deck so now you can enjoy the deck around the clock! 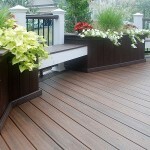 No two decks have to be alike as you can see in these photos. 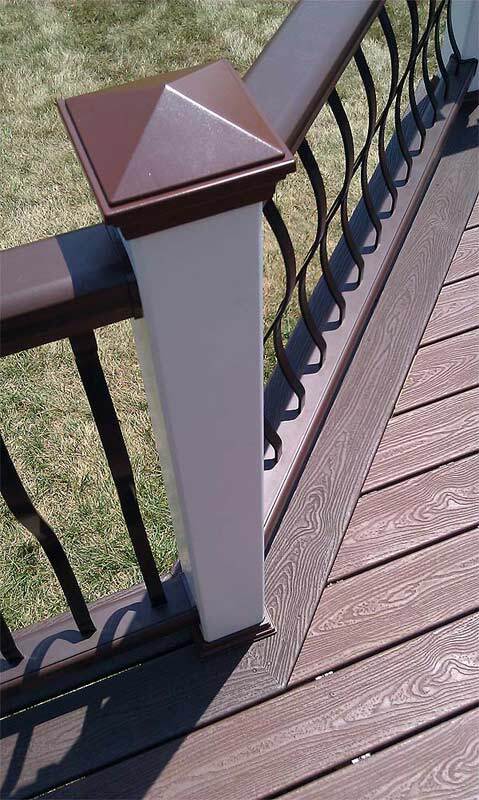 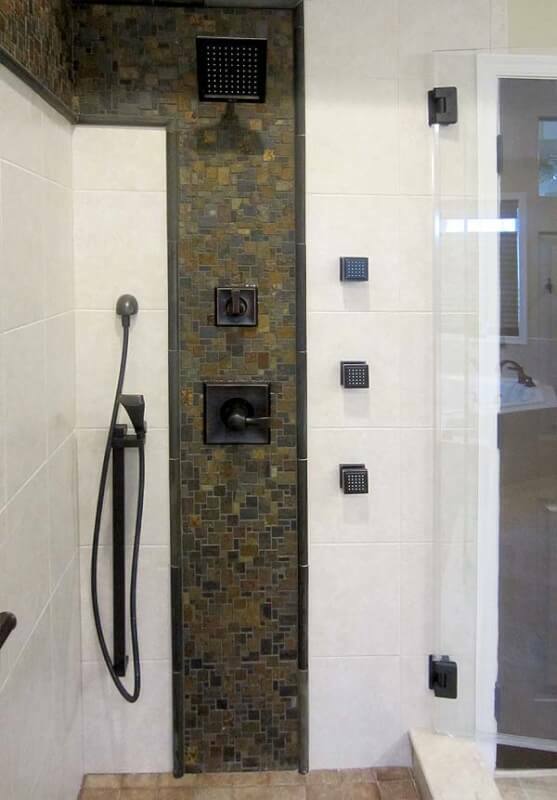 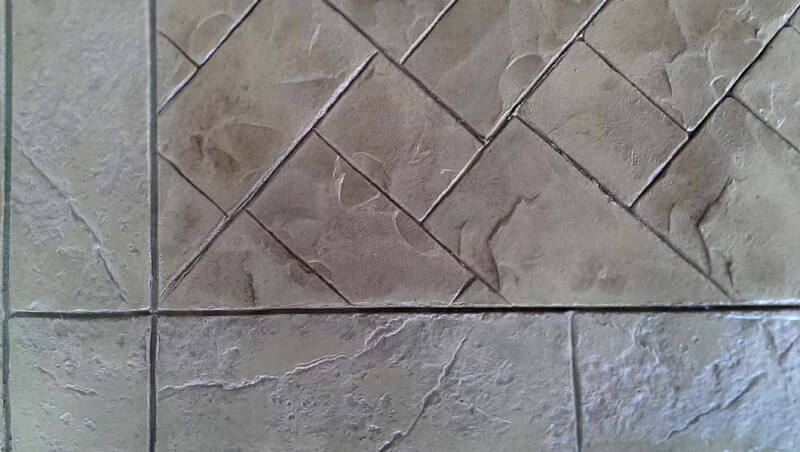 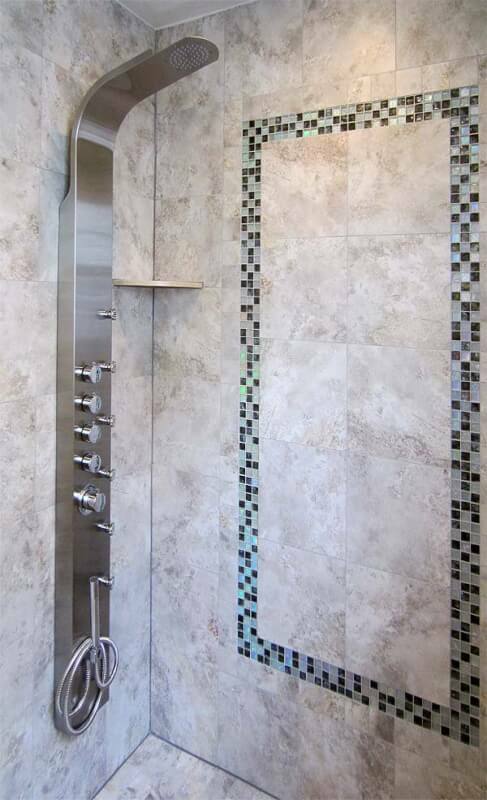 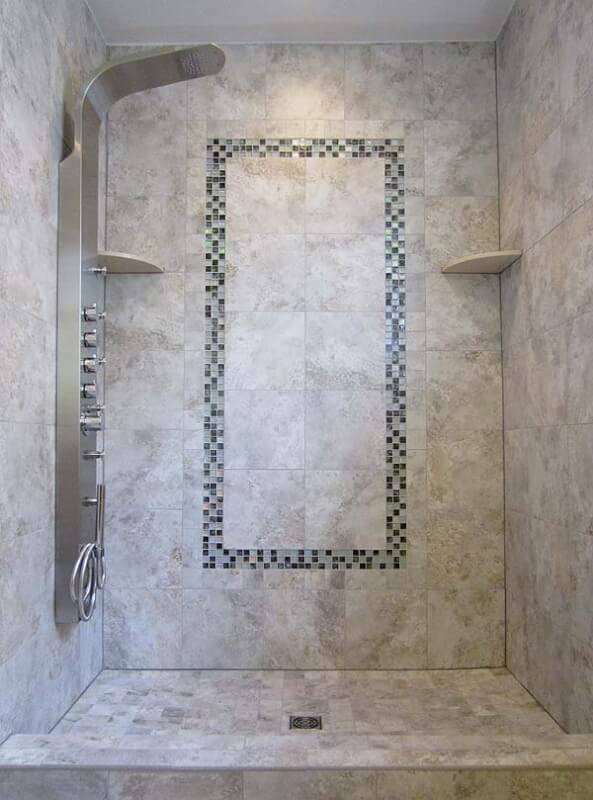 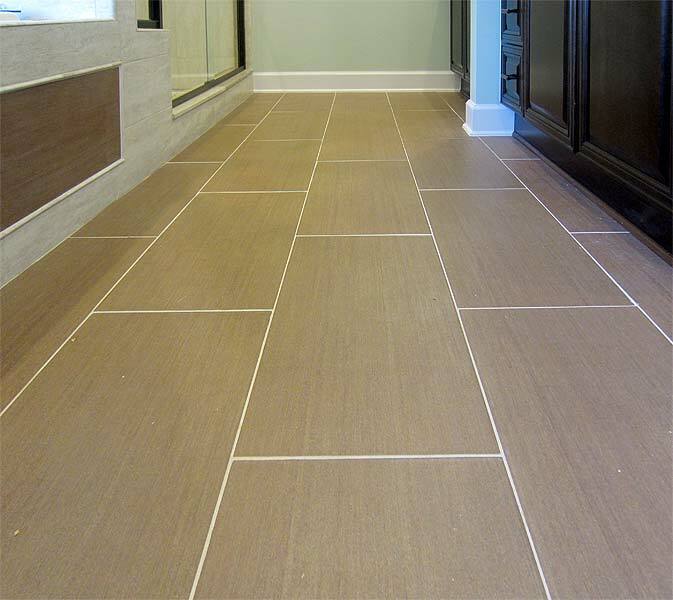 The color combinations and possibilities of design are endless with our expertise and these products. 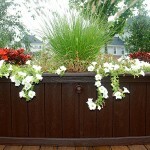 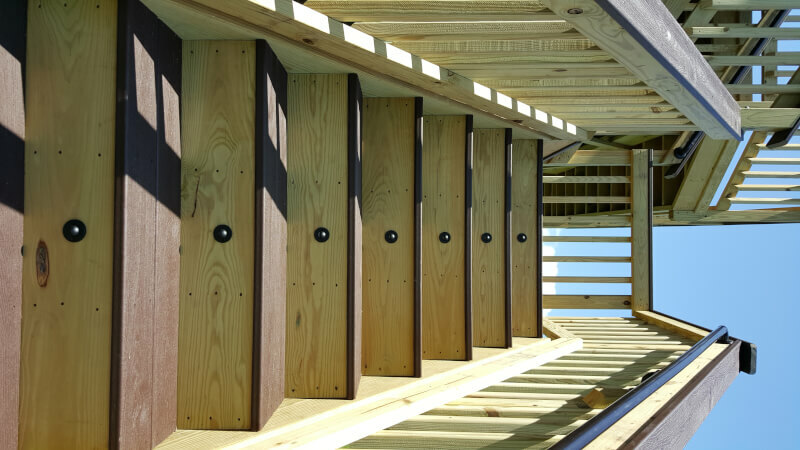 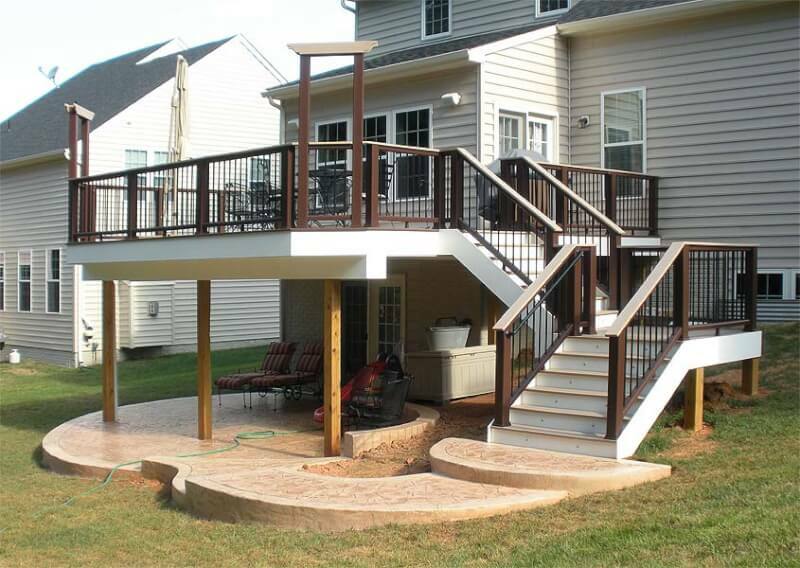 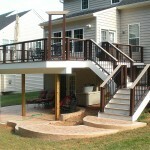 Let us help design a deck for you!